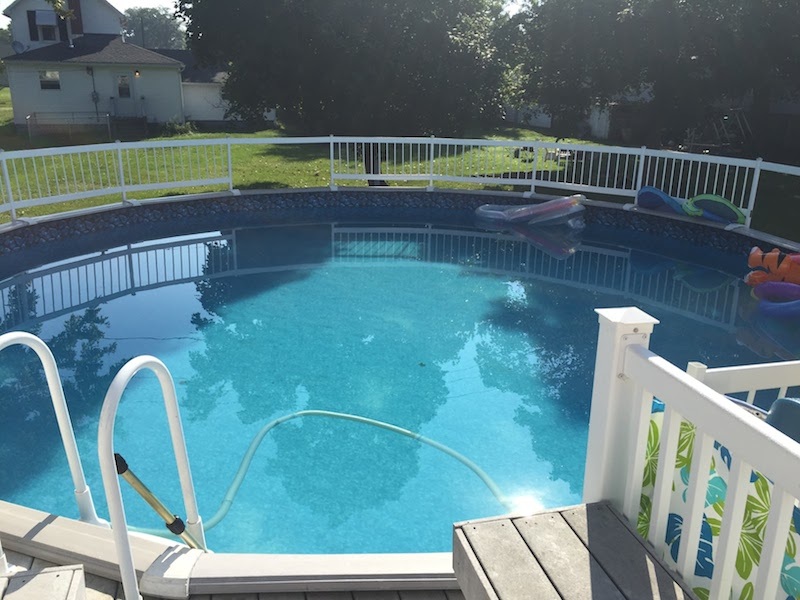 How much does a pool cost is a question I get asked all the time. 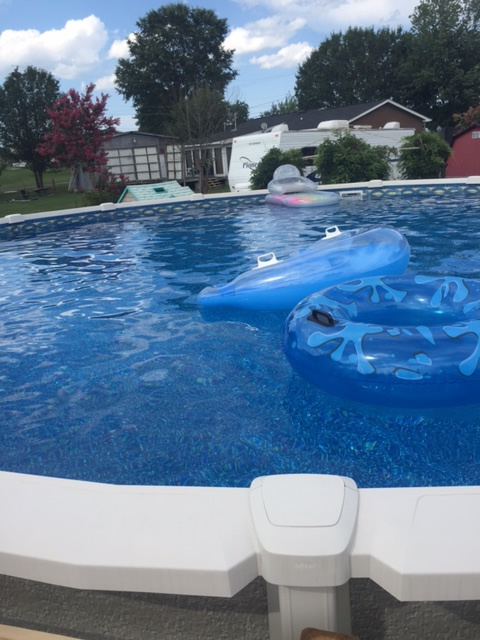 When I started writing this article I began with the standard items like well it depends on size, location, water features etc.. Then I thought wouldn’t it be cool to just show pools and list how much they cost, so that’s what I’ve done. 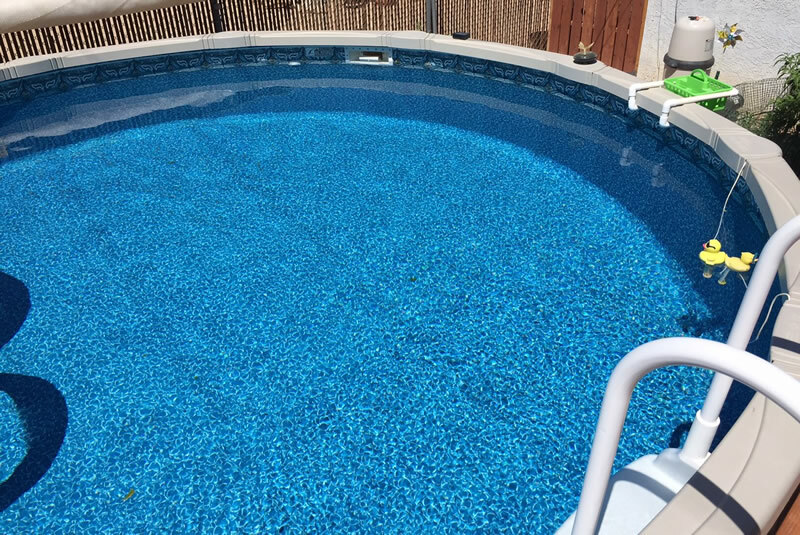 I emailed our subscribers asking them to send us a photo of their pool and how much it cost and I was overwhelmed by the response I received, 93 pools with photos and pricing, thank you, everyone, who participated. If you are reading this article you are probably in thinking about building a pool so here are a few other resources I would suggest. 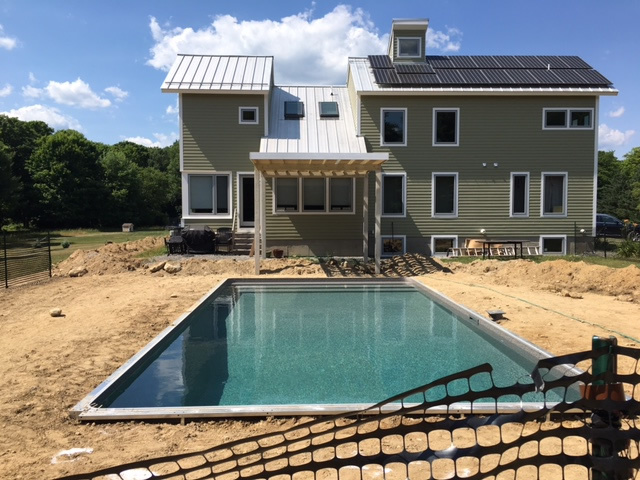 How to Save up to 30% by Building Your Own Pool (no this is not you actually digging the hole of the pool, this would be you acting as the contractor and you scheduling the and managing the subcontractors. 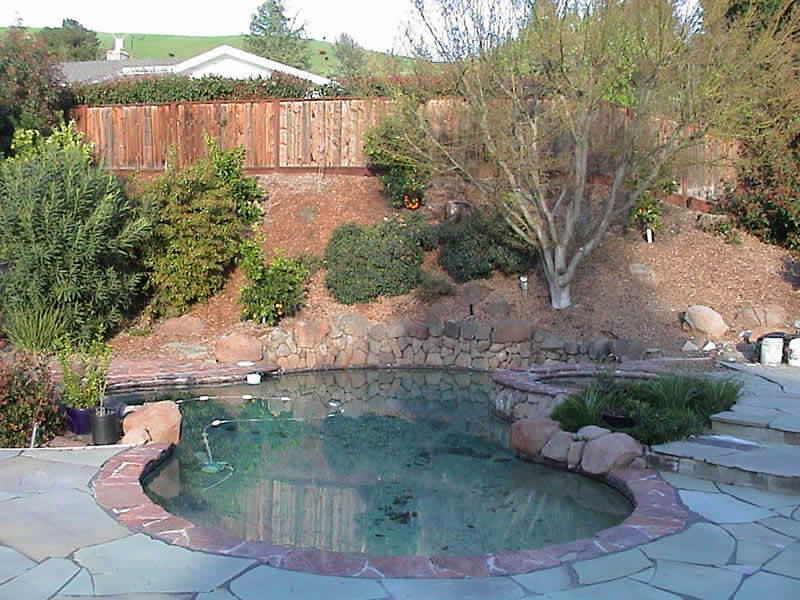 Another good resource is this TimeLapse Video of a 9 Week Pool Build from Start to Finish this will give you an idea of what the project of building a new pool will look like. Drumbroll please…. Here are our 93 pools and there cost. 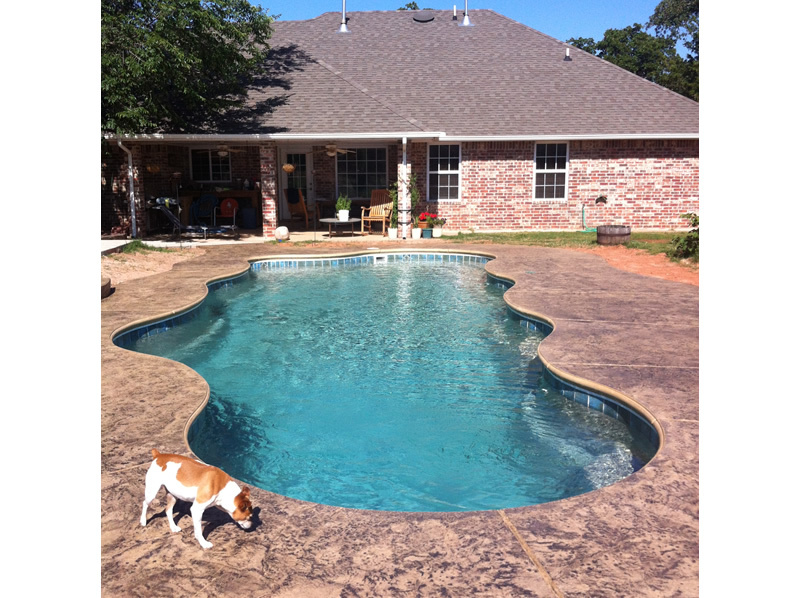 Homeowner Comments: My in-ground pool is gunite. It took four months from excavation to swim availability. There was a drainage problem with ground water and I finally dug a trench to direct the water from the adjoining vacant lot to the street. The pool cost $29,000. I spent $4,000 on the aluminum fence. I made a “foolish” decision to purchase tiles that would glow in the dark. Turns out they were unnecessary because the LED lights are on for 6 hours after darkness anyhow. 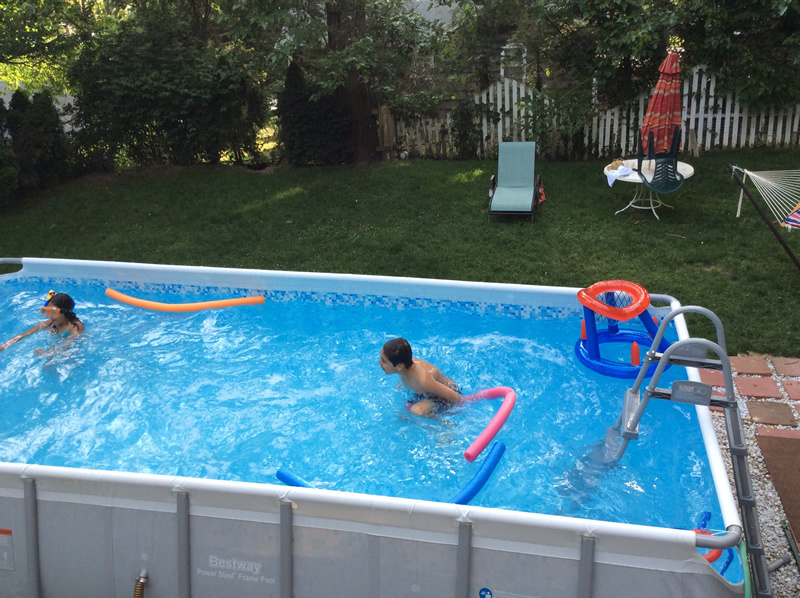 The pool is 22′ on the long sides and 11′ on the 4 shorter sides. I had the inner corner “clipped” to facilitate swimming laps to and from the farthest corners. The deepest point is 6′. 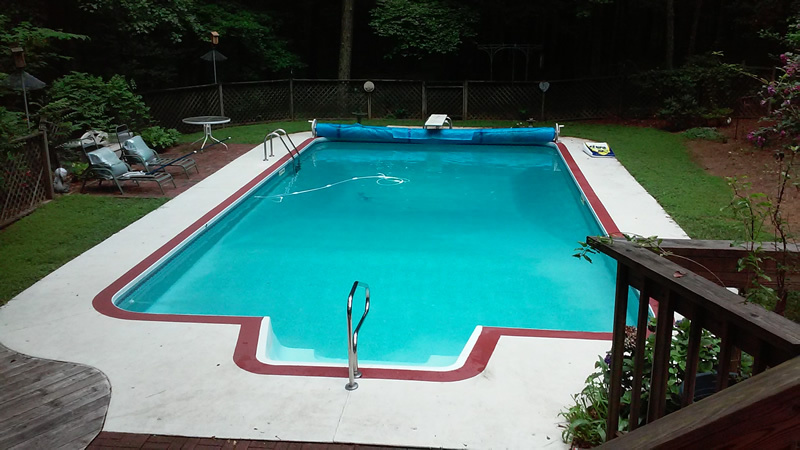 Homeowner Comments: Please note that the attached photos show the new vinyl liner we recently installed. 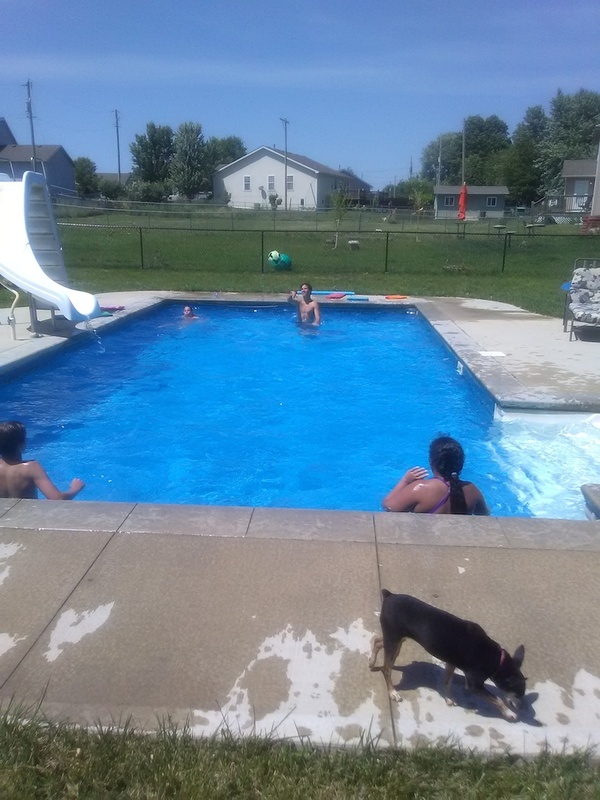 The pool was originally built in 2002, so the initial liner lasted ~13 seasons (there probably were leaks last summer, but we limped along until this spring’s opening to replace the liner). The original pool contractor did the liner replacement as well. The cost of $25,000 included all electrical, permits, NG heater and salt-based chlorine generator system, etc. We broke ground in mid-February, filled in April…Winter weather and wet ground conditions slowed overall project speed. 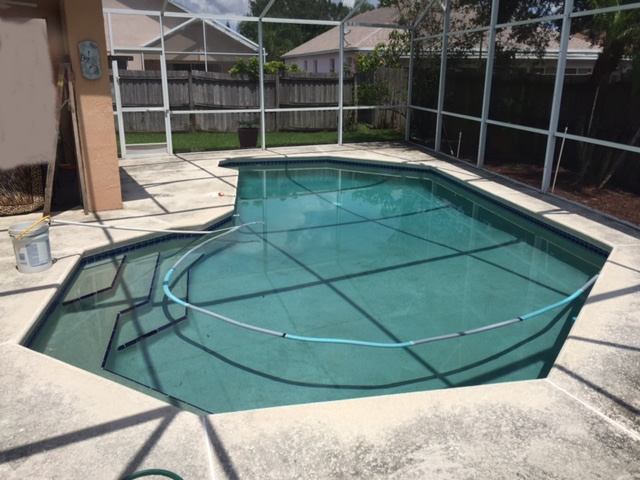 The pool is Vinyl lined with poured concrete “ribbon” surround/coping and measures 20′ x 40′, with an 8′ deep section to accommodate the jumping board. Corners are 2′-radius. Homeowner Comments: Love your tips and the variety of subject matter. 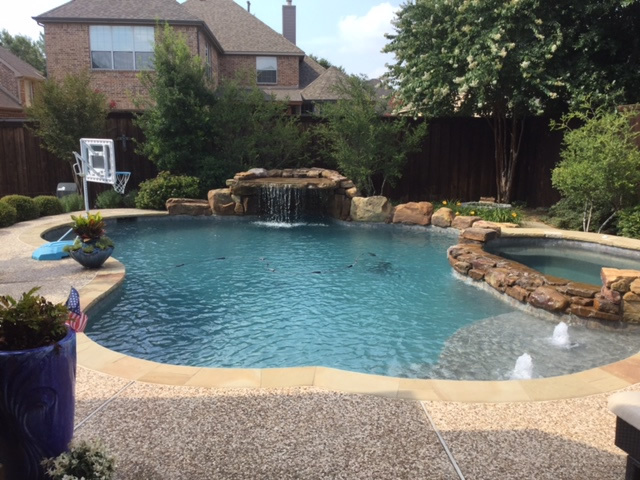 My pool was built in 2008 at a cost of approximately $26,500.00, fortunately, I included a “rock clause” in my contract which saved over $3,000.00; it took about two and a half months to build in the city of Willow Park, Texas which is just west of Fort Worth. 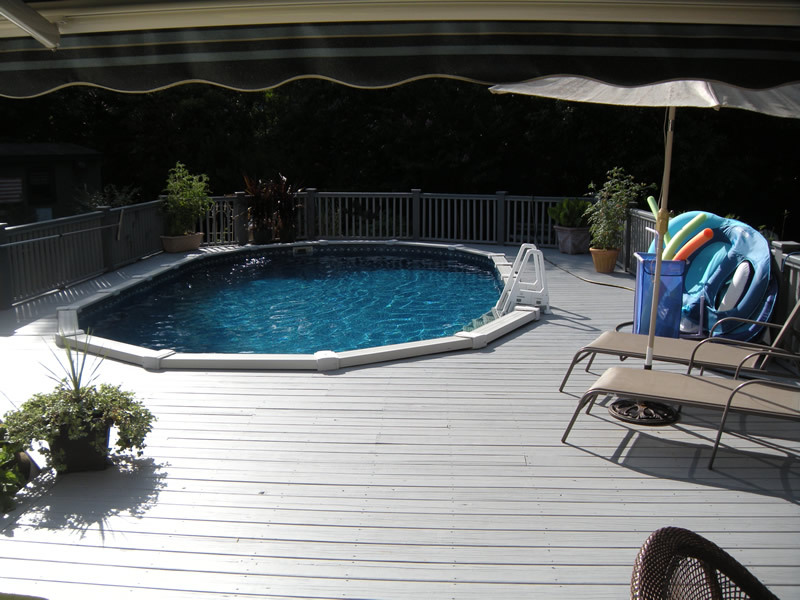 Pool size (I’m estimating) is 30 ft. long by 17 ft. wide with additional cool deck anywhere from 5ft. to 15 ft. from the edge of the pool. The attached picture was taken right after completion, since then we have dressed up the area with hedge rows which provide privacy. Also, I have included a picture of the rock that was encountered during the dig. Homeowner Comments: Salt Water System. Love it, love it, love it! 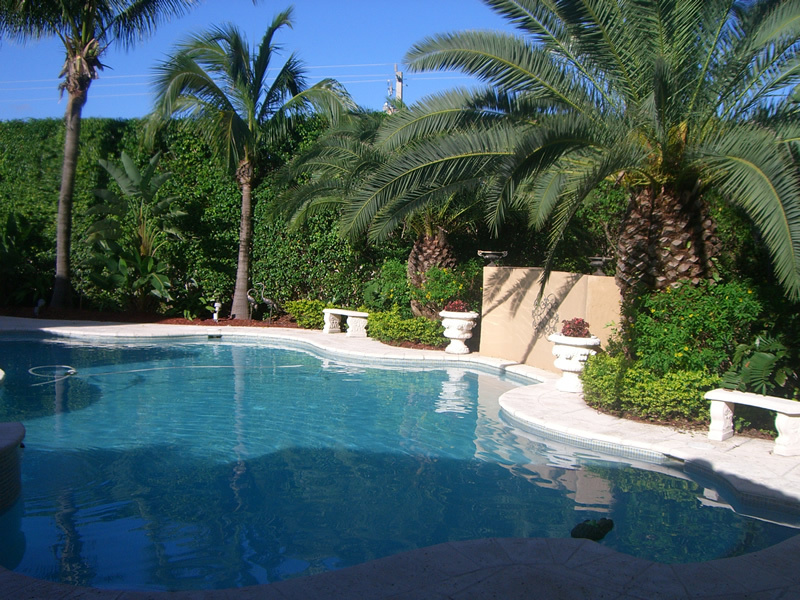 Homeowner Comments: We had our pool put in in 2009 and it cost us $30,000 at that point. It was touted as a spa and Badu system (like an endless pool that you could swim against the current). 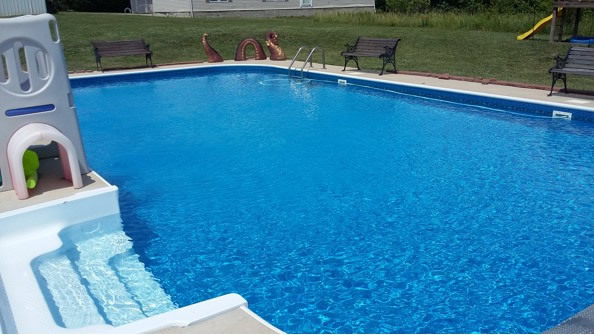 It is a saltwater pool (which is one choice we truly appreciate, since it doesn’t dry your skin out as a chlorine pool would) and is only 9 X 17 and 4 1/2 feet deep. 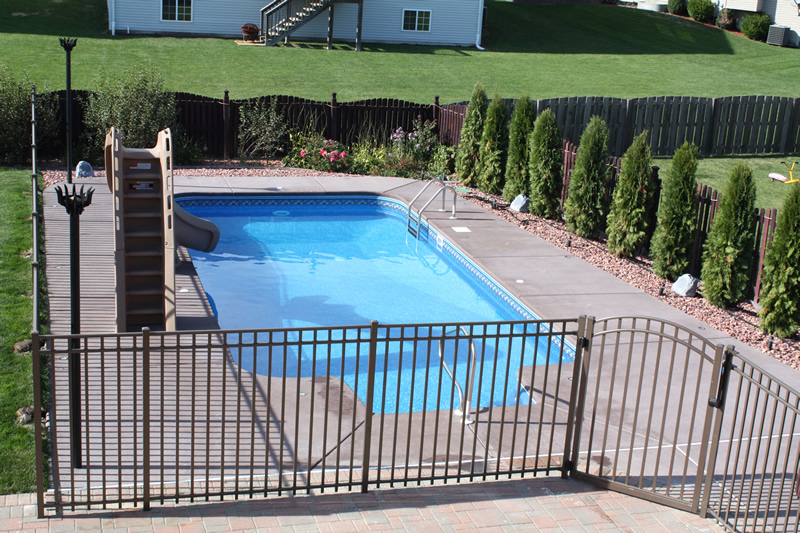 It is fiberglass and we have a Terra Cotta cement deck with a retaining wall behind it. 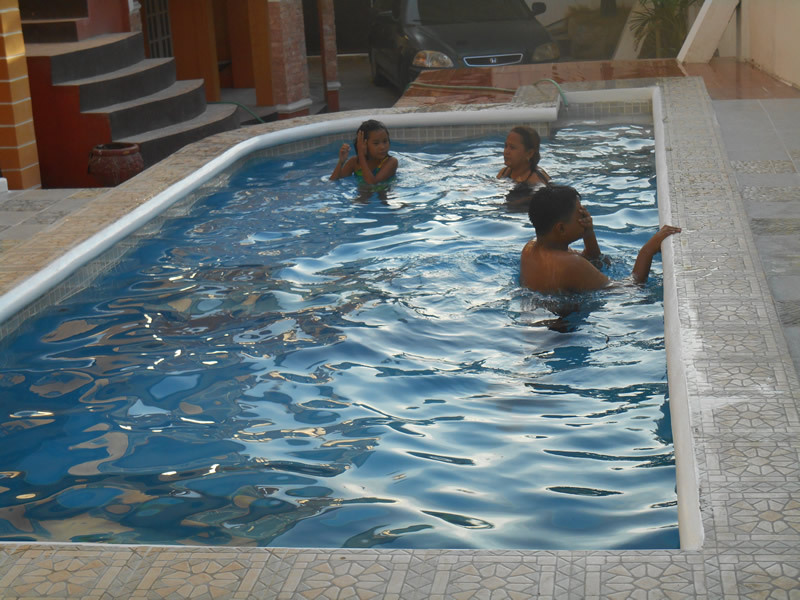 It’s just right for us and little kids, but not practical to invite older kids and adults to swim in. We live in San Antonio Texas and it took 2 weeks to put in. 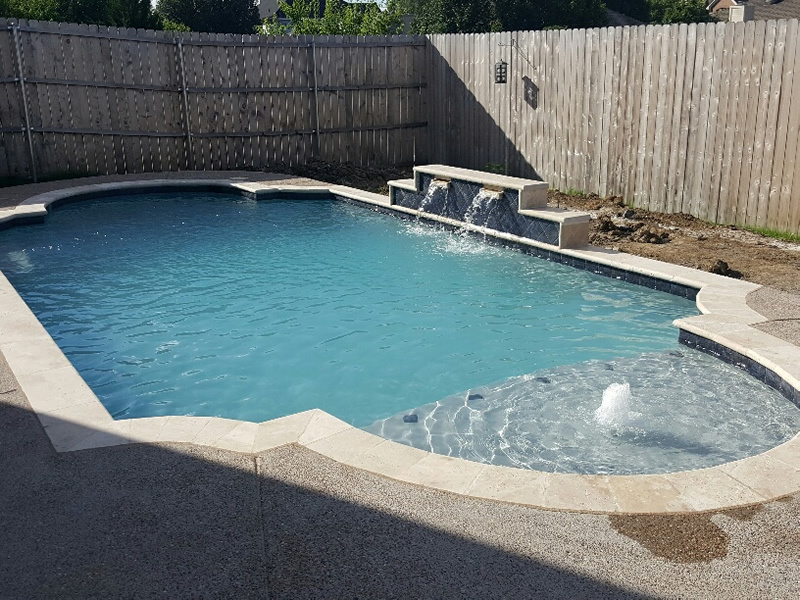 Homeowner Comments: Includes built-in raised bubble spa, sheer descent with booster pump, solar recirculating line, and in line Polaris. 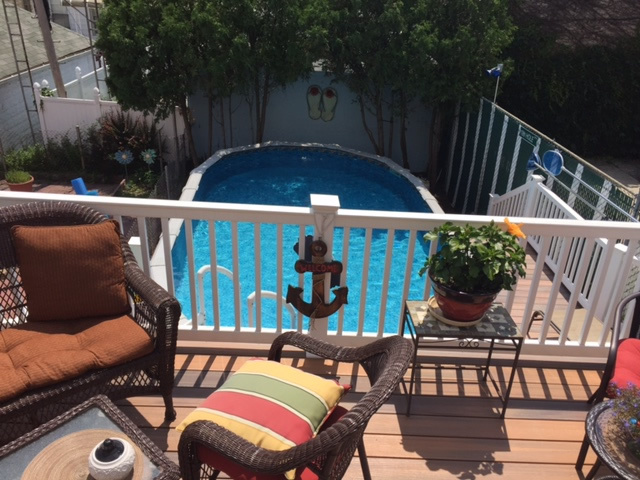 Homeowner Comments: The deck surface is Cool Deck. 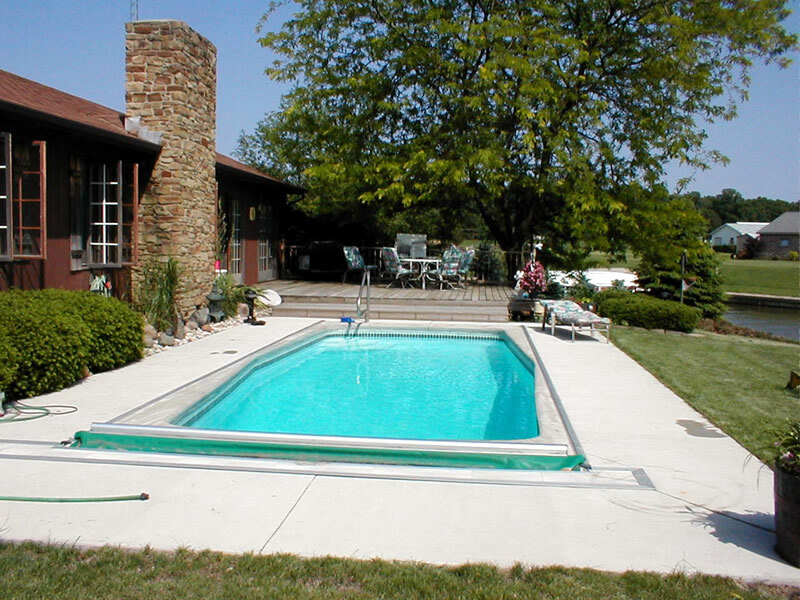 Pool Size: 15′ x 30′ Pool Spa Combo. 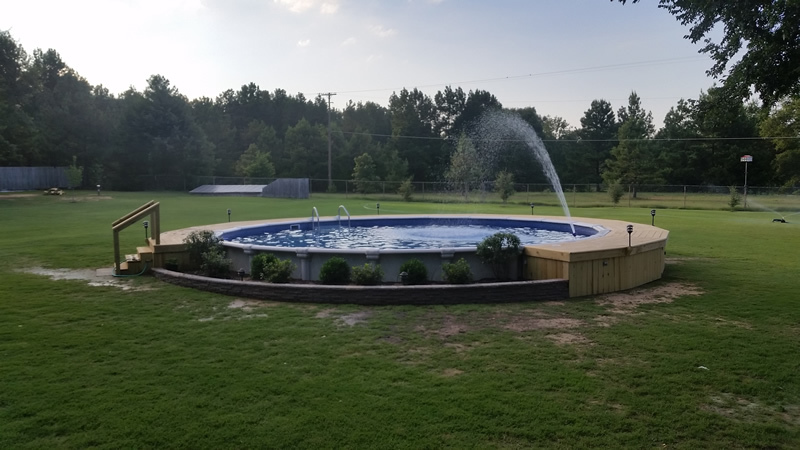 Homeowner Comments: My pool was scheduled to take 3 months to build but actually took about 1 year to build due to an Oak Tree permit ordinance requiring a public hearing. This added an extra $12,400.00 to my $ 59,200.00 contract. My biggest complaint was that the Oak trees were not located on my property they just over hung over my property. 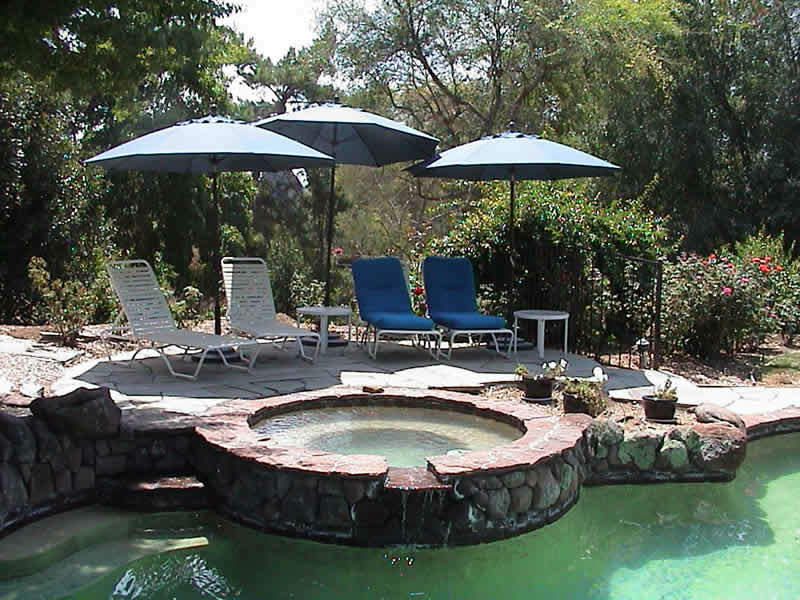 The property is located in Altadena, California. The Pool plaster is a synthetic pebble stone, with a concrete cantilever deck. 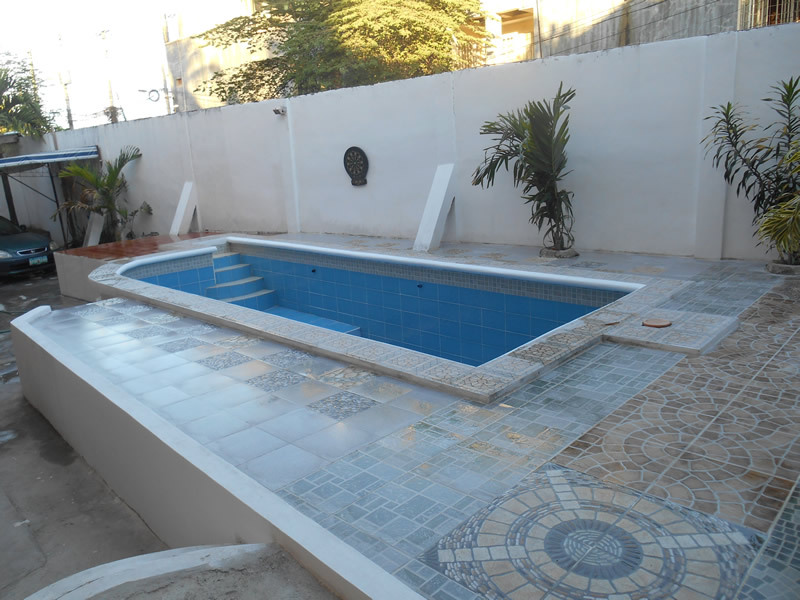 Pool Size: 15’ x 30’ with in pool spa. 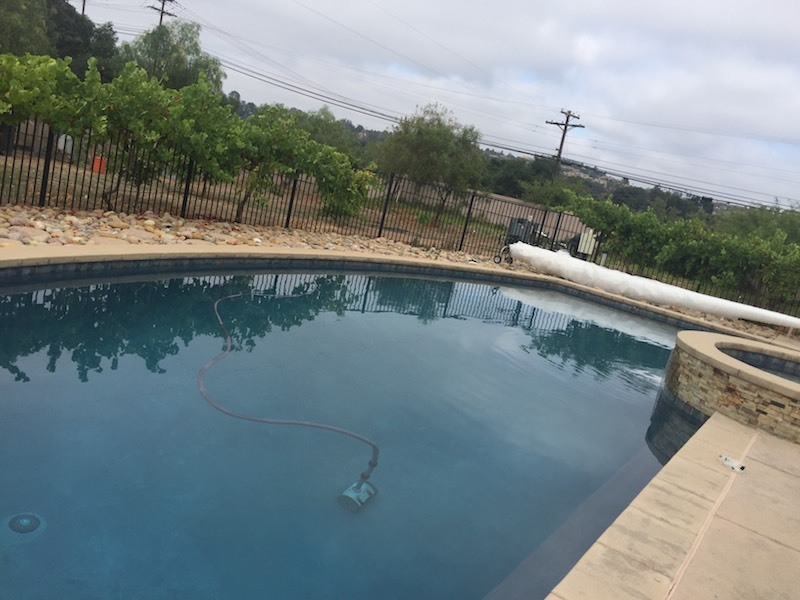 With electric pool cover, Auto- Salt system, and intelliflo pumps to keep down Annual cost which is currently at $ 1,440 this includes monthly maintenance service , chemicals, salt, and Utilities. 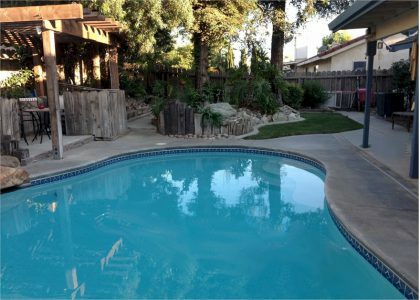 Homeowner Comments: My Hayward Super Pump is not being used in a swimming pool which eliminates me from helping you write your article. 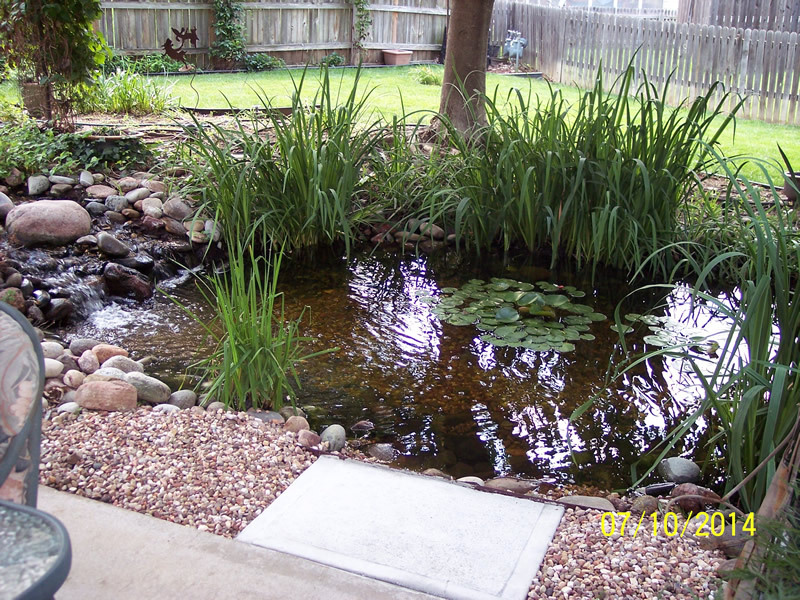 My pump was installed in a water garden that I designed back in 1997. My pump runs 24/7 – 365 Summer and Winter. I live in Olathe, KS which is a suburb of Kansas City so our Winters are usually pretty cold. I have to put a livestock tank heater in the pond to keep it from completely freezing. I have about 25 fish in the pond that just today are spawning! This is an unconventional use of the Super Pump as I don’t know that I’ve ever heard of anyone doing this in a water garden but it has worked exceptionally well for many years now. My wife and I enjoy the water garden far more than any swimming pool. Attached are pictures of the pump at work. 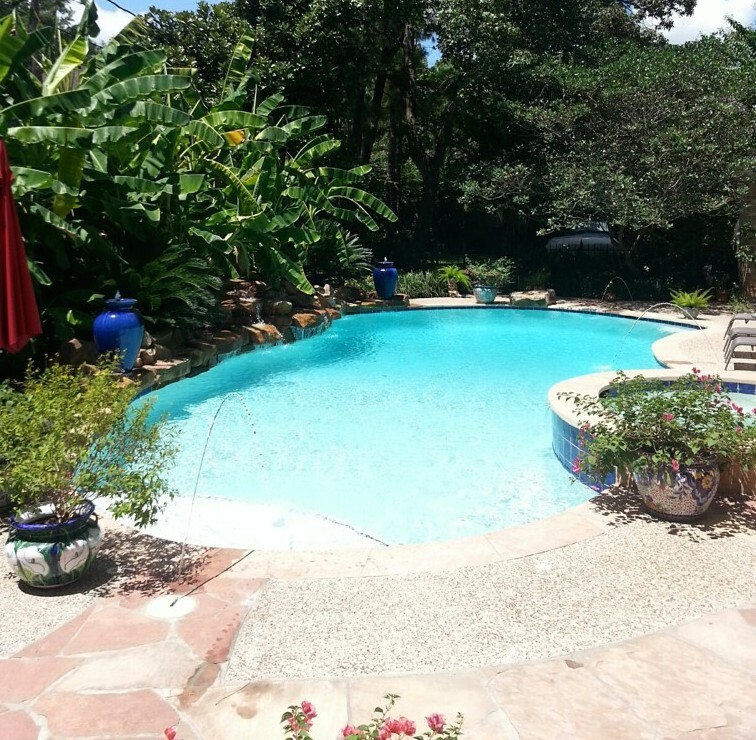 Homeowner Comments: I love my pool, and I enjoy it very much, however, the next pool I get will not be so big. 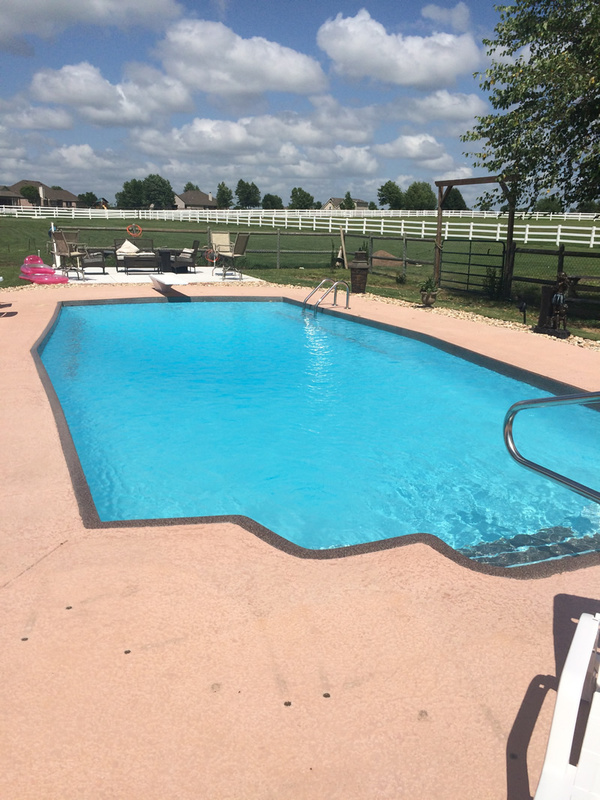 Homeowner Comments: Our pool has 4′ concrete apron deck around all sides of the pool. 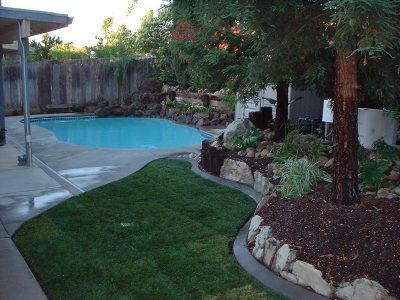 Homeowner Comments: Our pool took 3 girls 3 weeks to build, mostly because we transplanted the grass to another portion of the yard. 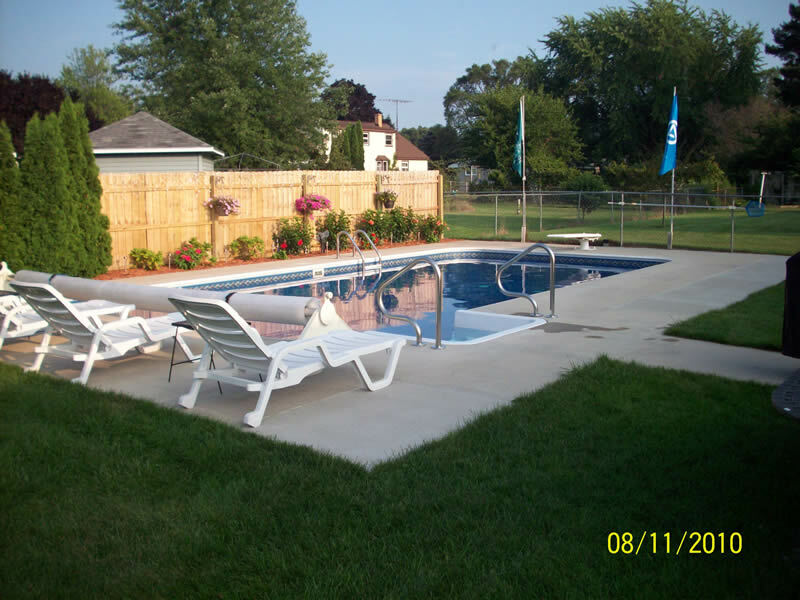 Homeowner Comments: Our pool is a vinyl liner over ABS side walls and thin coat cement floor and angled walls. The construction process just over 2 weeks. Homeowner Comments: It took one day to dig the hole and another day to set it. The cool deck was also installed in one day including electrical. If all was to be done back to back, you will be looking at 4 to 5 days for a complete project. The rock around the cool deck was added by me at a later date. The pool is 14 feet on the ends and 16 feet near the middle. 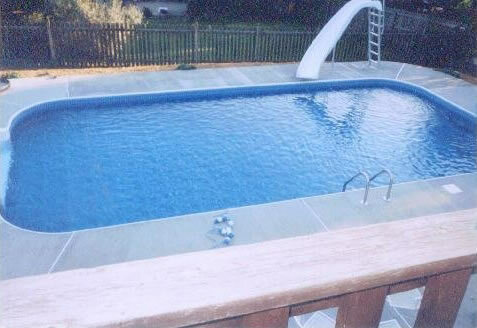 This is a diving pool with a deep end of 9.5 feet. The length is 34 to 36 feet. Homeowner Comments: We put down a sand bottom to make things softer on our feet. 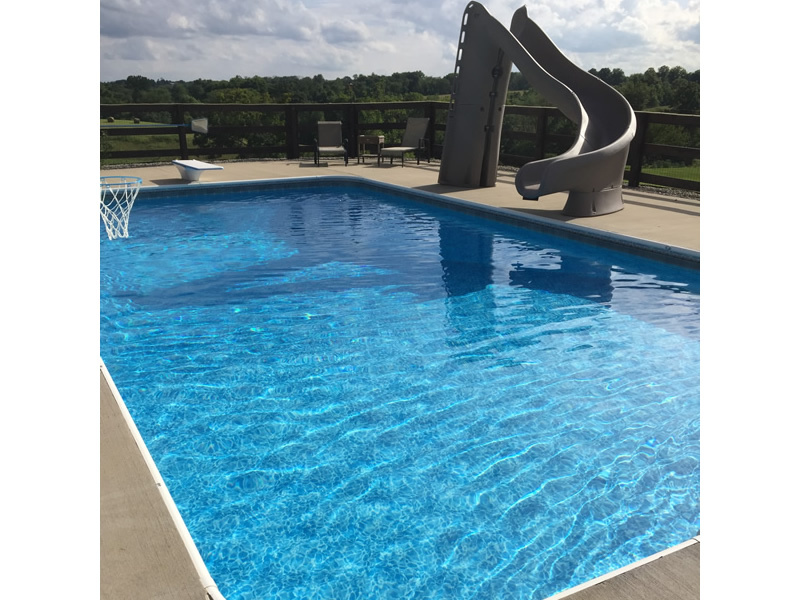 Homeowner Comments: Our total pool cost when completed was $36,000, the pool was completed in 2 weeks in late January of 2012. 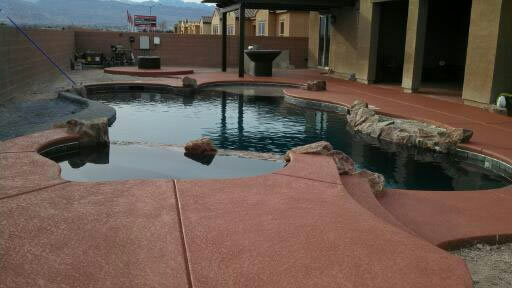 Homeowner Comments: My pool cost $17,000 ten years ago not including landscaping which I did myself. 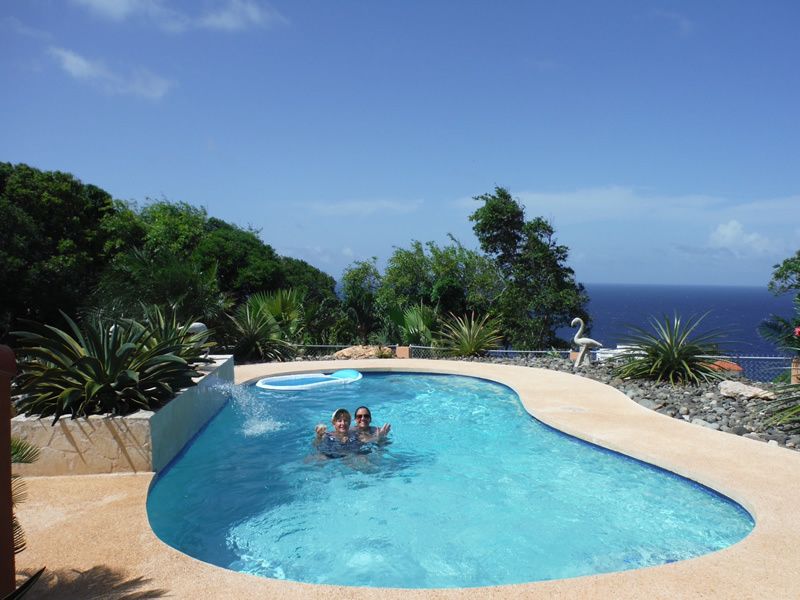 It took 6 weeks to construct the kidney shaped pool itself and the landscape is an ongoing project. The surface is white plaster, it holds about 15,000 gallons so it is small compared to others but just right for us. 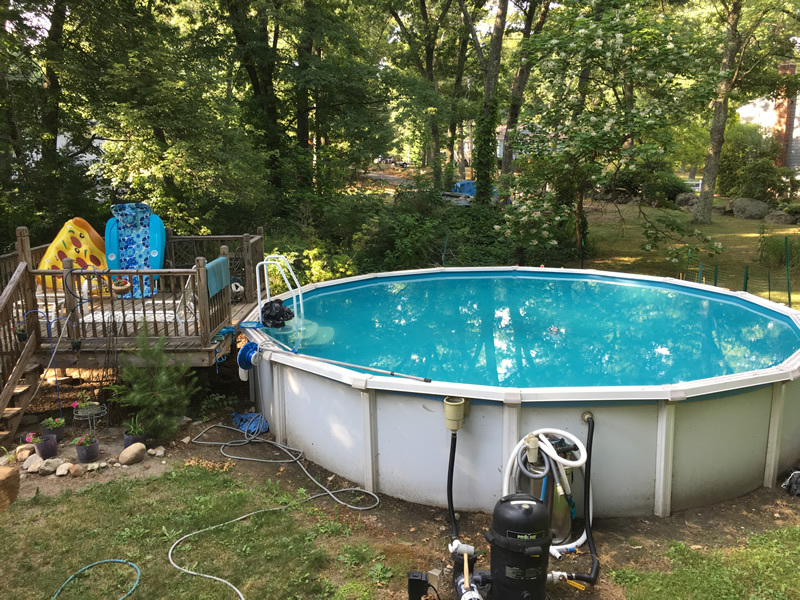 Homeowner Comments: We live in Chaptico, Maryland and bought our 27′ 52″ round pool, online, in 2004. it took us a weekend to level the ground and erect the metal frame of the pool. We had to buy a load of sand to put under the liner but I do not recall how much we paid for that. 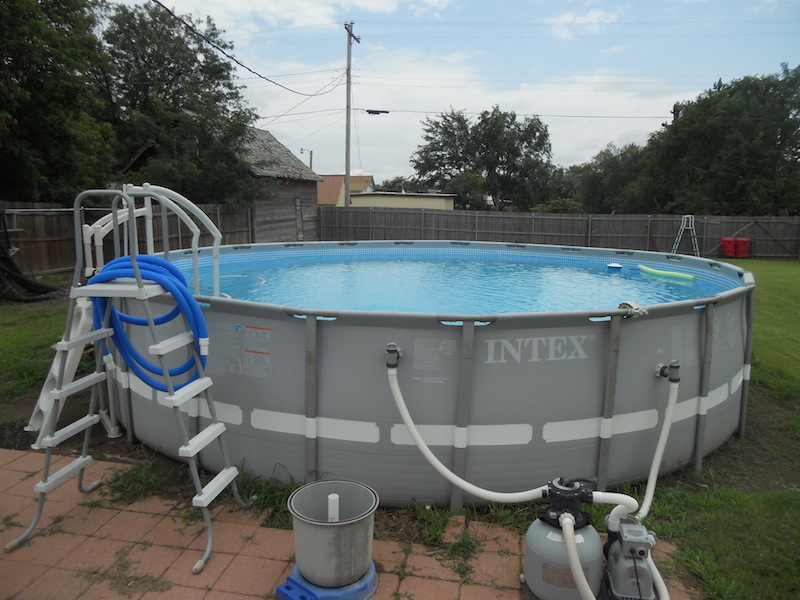 We also had a filter system from a previous pool but are running a 1 1/2 hp pump with a Hayward S-210T sand filter ($450). 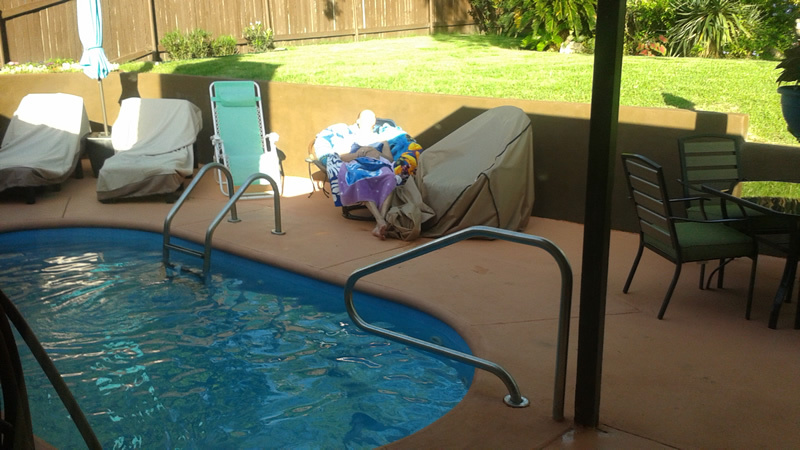 We paid $1250 for the pool and did the installation ourselves. 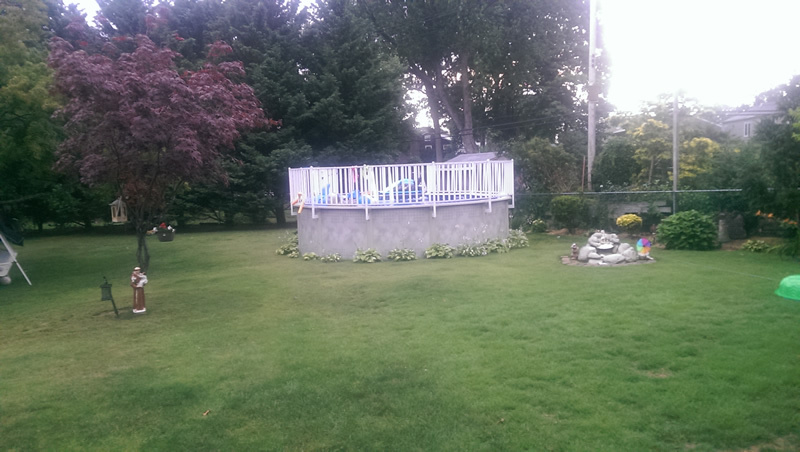 Homeowner Comments: Our operational costs are $1,700 per year in propane, electrical and pool chemicals. 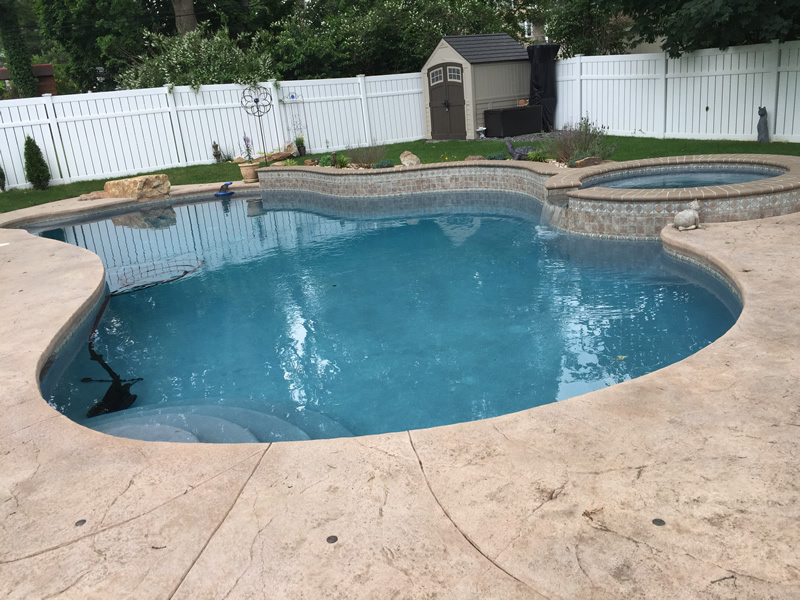 Homeowner Comments: Took 10 days from ground break to get it installed from start to finish landscaping was done right after but the pool was swimmable after 10 working days. Homeowner Comments: The cost of $40,000 includes concrete decking, fencing and gas heater. 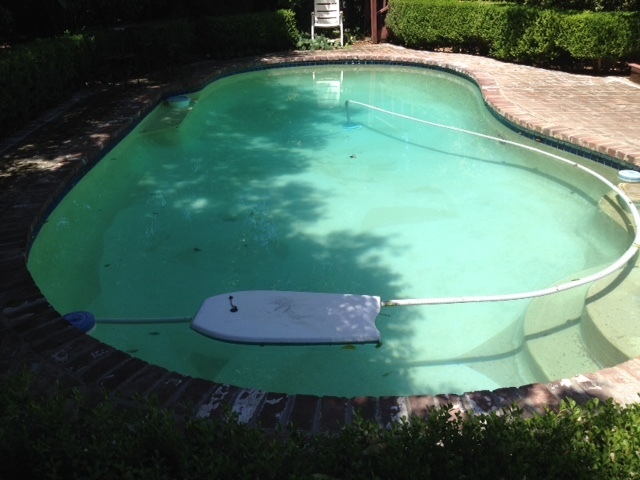 Homeowner Comments: Our Pool is now over 24 years old. Built by Sylvan (now Anthony/Sylvan) for a cost of $22,736.00 (excluding Fencing/Retaining Walls, Landscaping and other stuff I did.) Re-enforced Concrete w/Plaster Overlay. 33,000 gals (excluding Spa). Total time approximately 2 weeks. Started in Fall of 1991 and finished in Spring 1992 (had to do extensive landscaping which was left to settle over Winter). Annual Cost approximately $750.00 (includes Chemistry & Opening/Closing costs but excludes periodic equipment/cover repairs/replacement). Irregular “Kidney” shape measuring 25 X 45 feet at the widest/longest points. 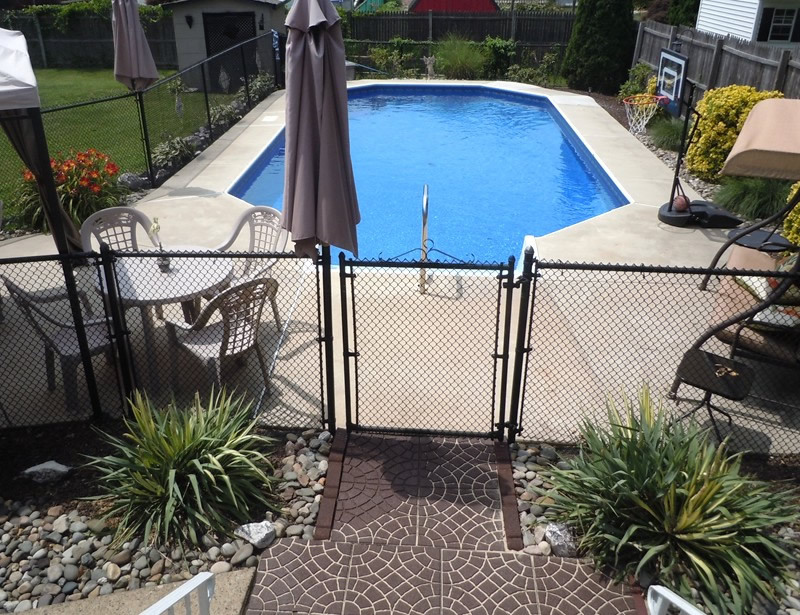 Homeowner Comments: The basic pool installation was $14K (in 1990), Heater – $2K, Concrete aprons around pool – $5K and Fencing – $3K. 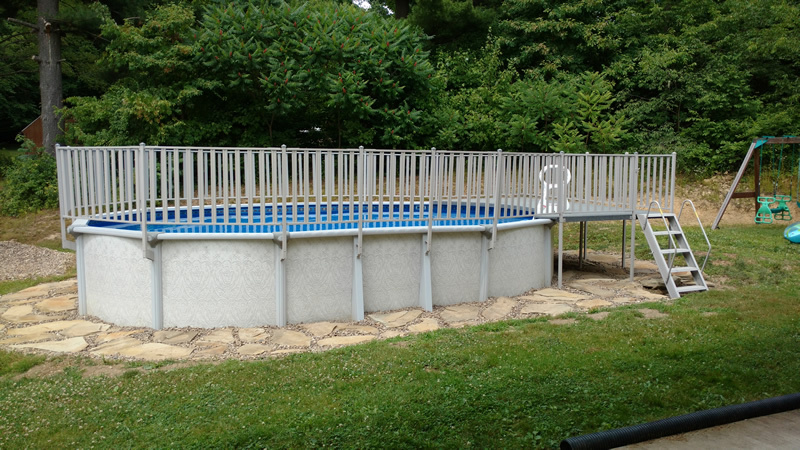 Our pool has a Concrete bottom, steel sides, with a liner. 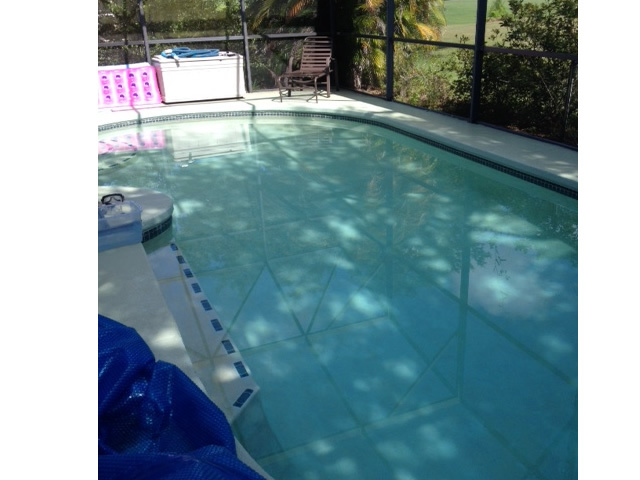 Homeowner Comments: The total cost of the pool (built in 2000): $32,000 (includes screen enclosure). 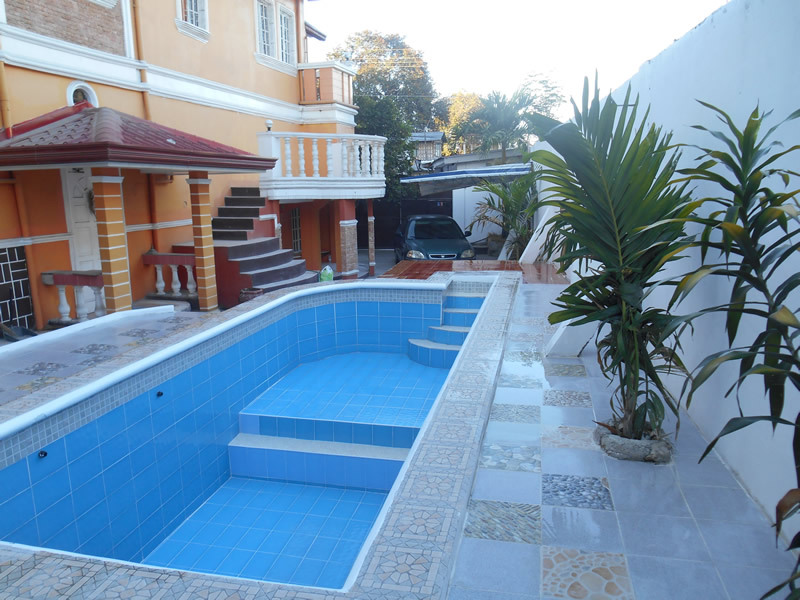 Our pool took just 7 weeks, plus additional 2 weeks for the screen, plus landscaping. 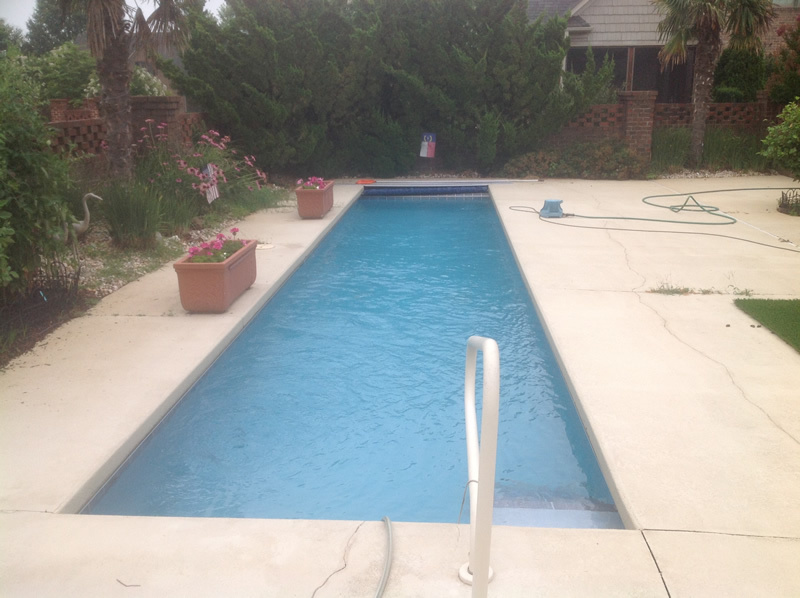 The main part of the pool is 30′ x 14′ plus an area 15′ x 3′ for the steps/swim out. 5 ft deep, 3ft at the shallow end. 12,000 gal. 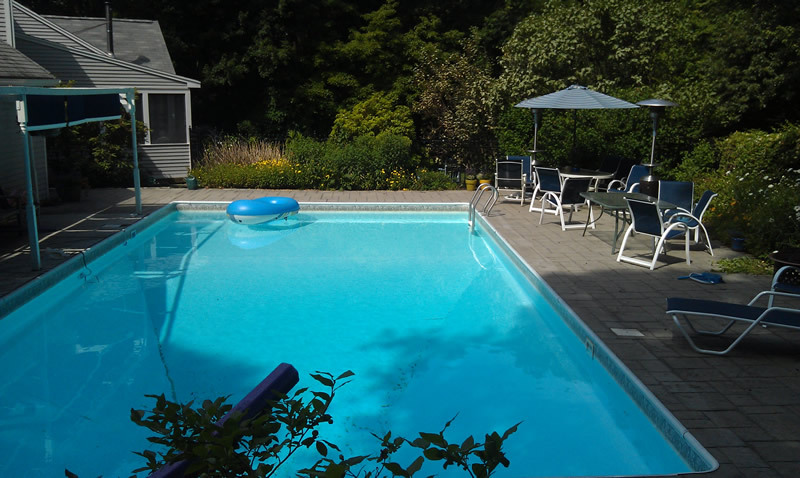 Homeowner Comments: To the question, how much a swimming pool cost? It’s like any other investment. The more you use it, the quicker it gets amortized. If you live in northern Wisconsin or in Florida or southern Texas, it’s difficult to compare. It’s like paying an additional amount of money for a convertible car: how many days can you enjoy to drive with the top down? 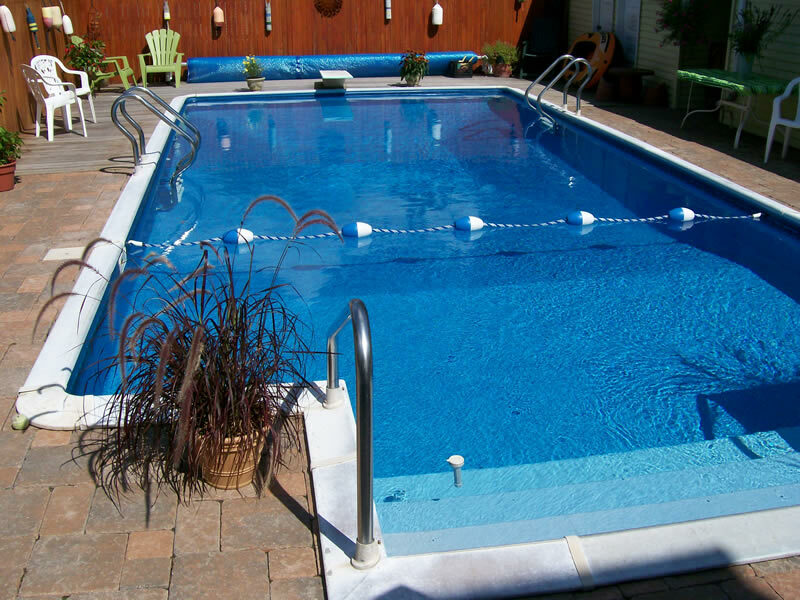 Some pools need to have heated water in order to increase the number of “swimming days”. 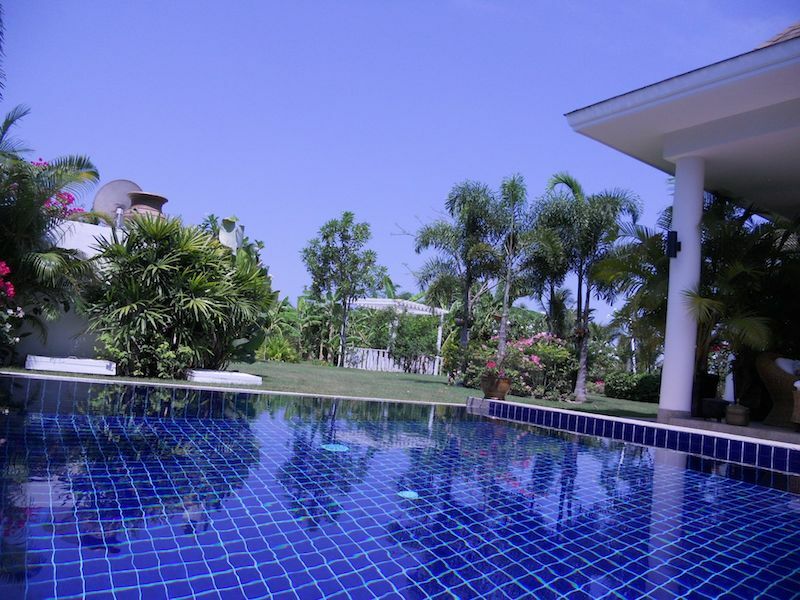 Our pool is located in Thailand near Hua Hin: so it’s 365 days of use, even when it rains or it gets cooler. 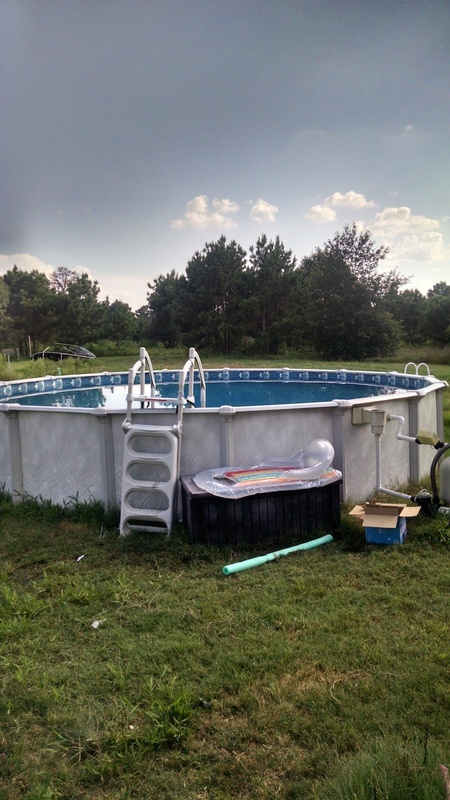 When we bought the house the pool was already built so the price was “buried” in the house and land cost. It’s a salt water pool with chlorinator and diamond glass filter. In term of cost, the major expense is electricity. As the pump works 10 h per day (in winter 9 h per day). Costs converted from Thai Baht to US$. Chemicals: US$15.00 (salt + acid). No algae problem. Homeowner Comments: For chlorination, I use a salt system. One of the best investments I’ve made. Water stays clear and sparkling year ’round. Need for additional chemicals has been minimal. 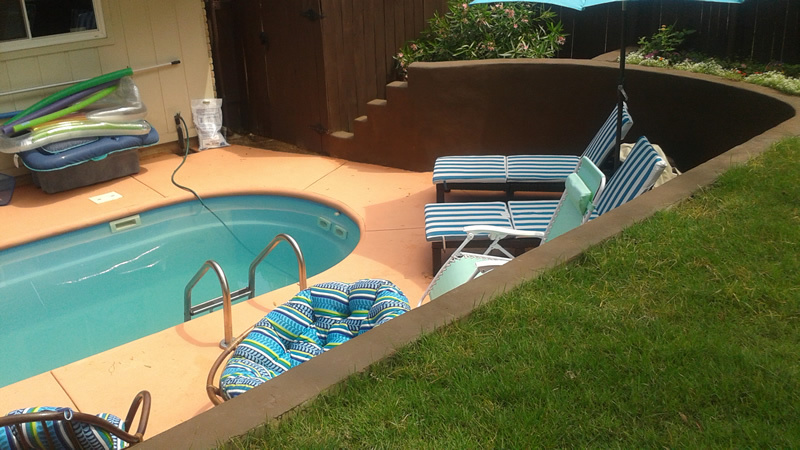 The only problem I’ve had in 10 years is the replacement of the multi-port valve recently purchased from INYO Pools. 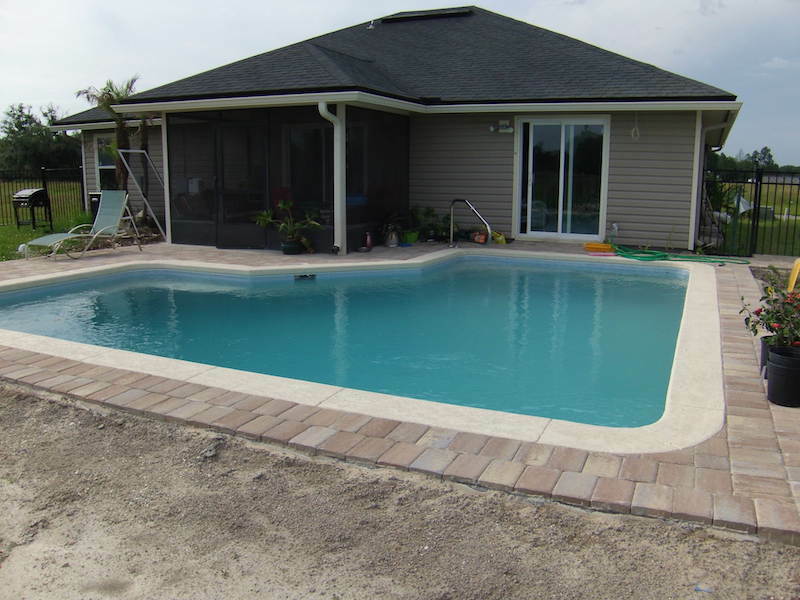 Homeowner Comments: The installation was done by ourselves and we built our pool on a sand base. 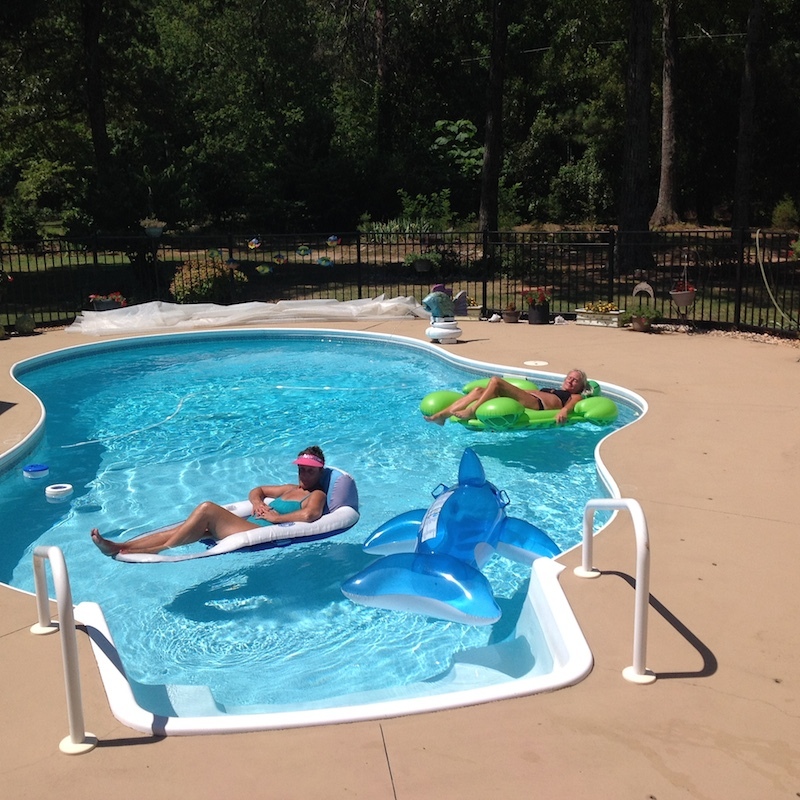 Homeowner Comments: PPatrick, here we are in summer mode. Water temp 88 degrees. Hire of models $50.00. 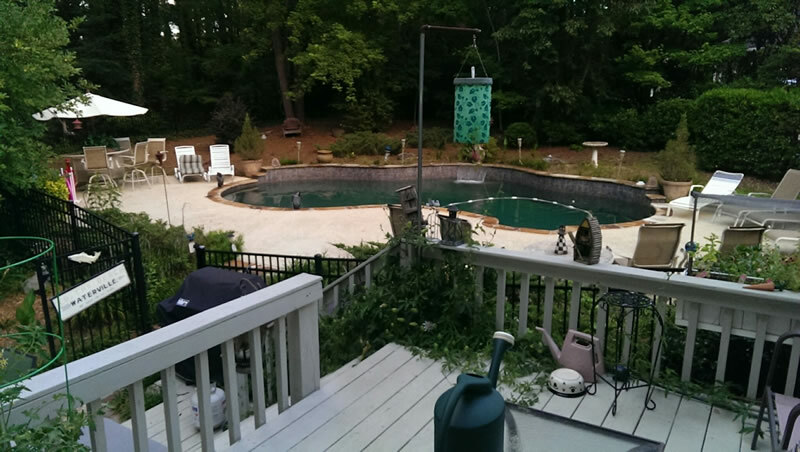 The pool was done by Fox Pools of Spartanburg and from start to finish about two weeks. Best investment we did after buying the house. Homeowner Comments: For the deck, we used brick from the original Tulare Hotel, Tulare, California. 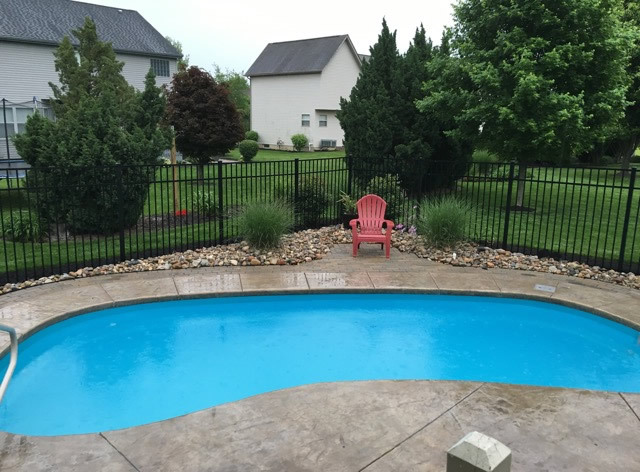 Homeowner Comments: Our swimming pool would have been completed faster than two months but we had a lot of rain. 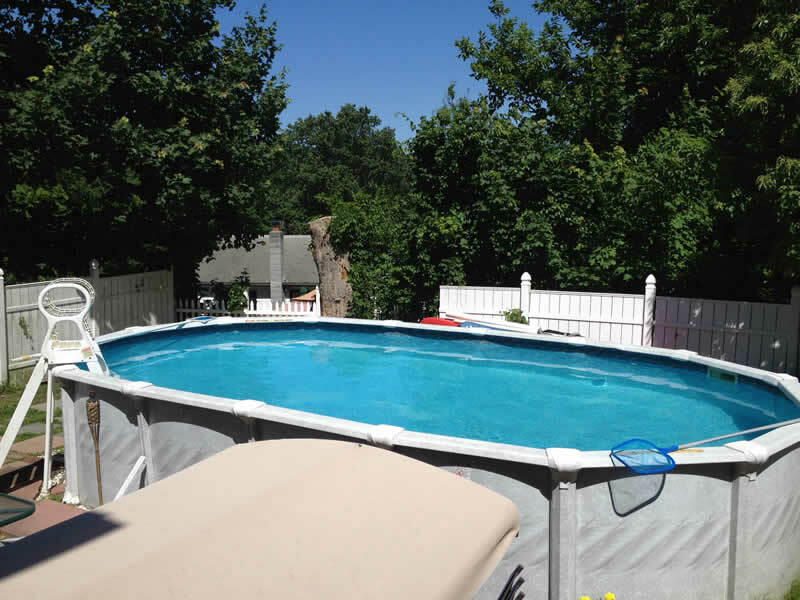 Homeowner Comments: Our above ground pool is a resin pool, the price includes a heater, ground leveling and retaining wall. 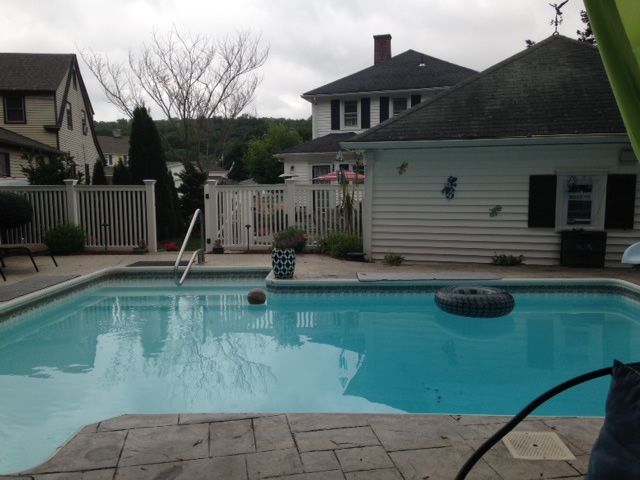 Our pool install took 6 weeks due to ground leveling and building of a retaining wall. 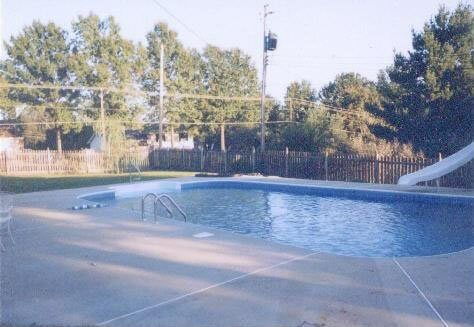 Homeowner Comments: The pool cost was $25,000 we hired a contractor and did some water drainage work as well. 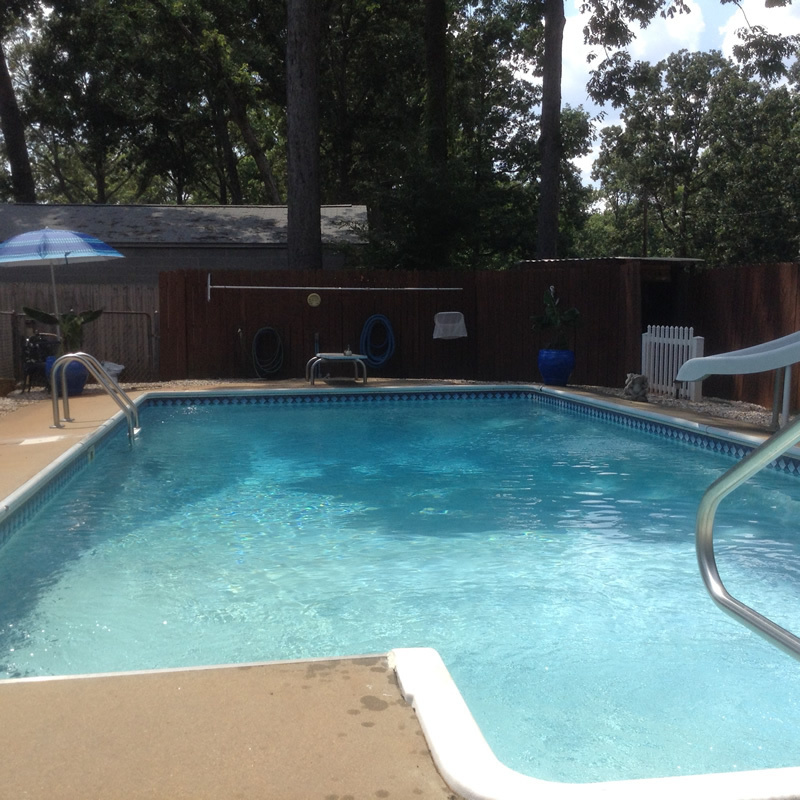 Homeowner Comments: The pool cost around $3,000.00. 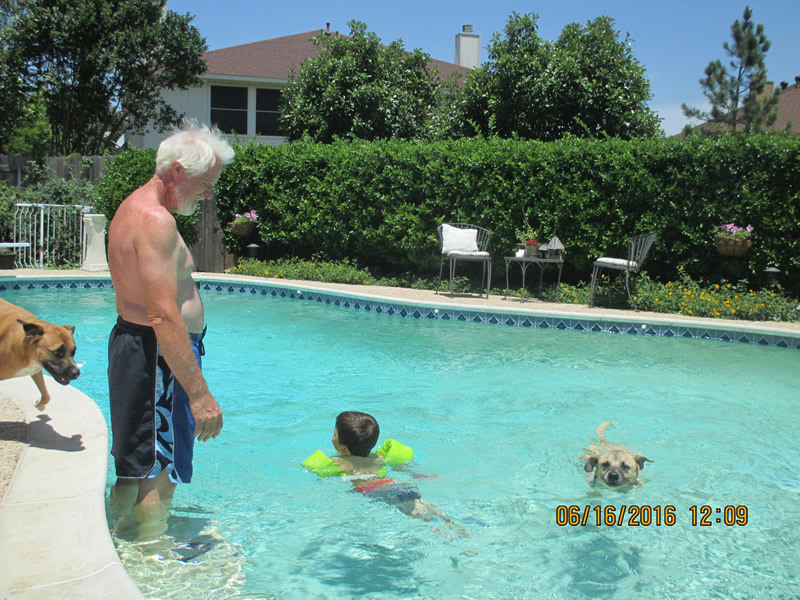 Then the labor was around $2,000.00 because we needed to add 18″ of Item 4 to the area where the pool sits. After that was the pool water at a cost of about $500. 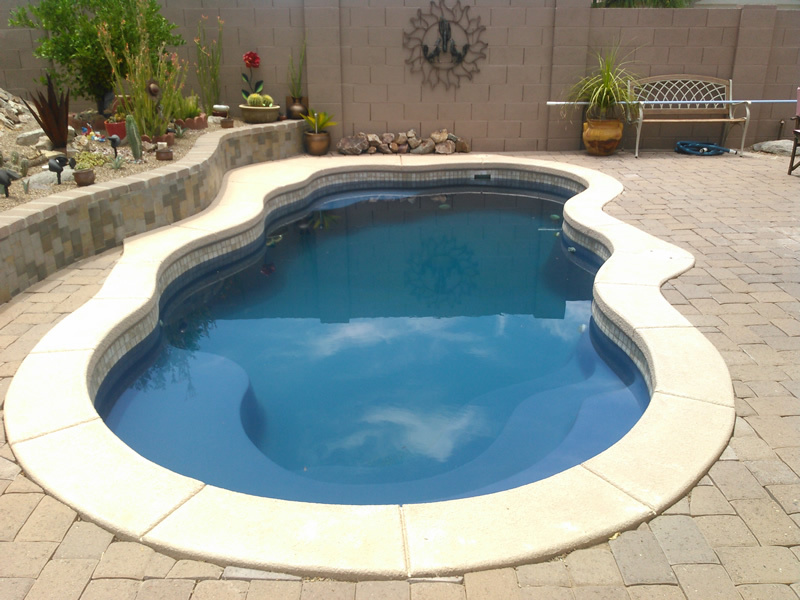 It’s a 24’x12′ oval shaped pool that’s is 48″ deep with the top edge rail at 52″. That was the cost about 7 years ago with a crew of about 10 men. They did the work in just about 3-4 hours. We still haven’t built a deck, but it sure would be nice. This is in Lake Carmel, NY. 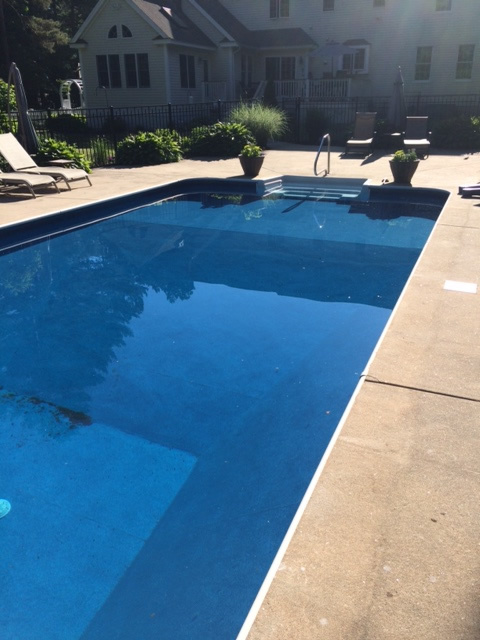 Homeowner Comments: My pool cost $899 for the pool and liner. The filter and motor were $599 the skimmer was $29 and the hoses to connect the filter to the pool were $12. The pool took 2 days to level ground and prepare. 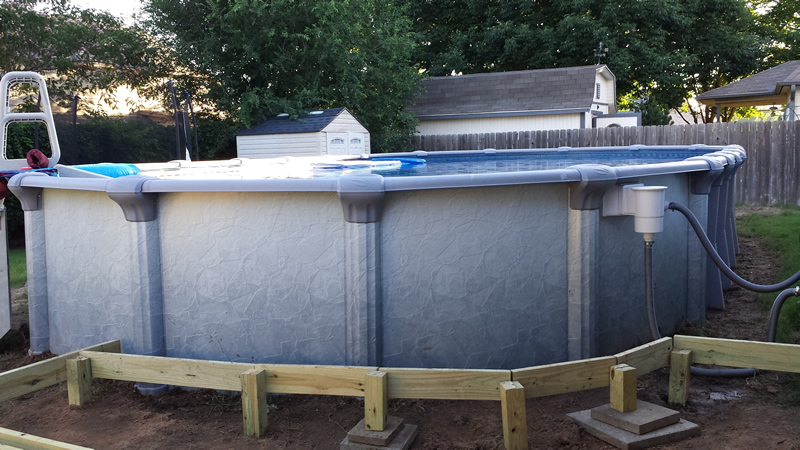 2 days to assemble the pool and install liner, 1-1/2 days to fill with water and one week to build the pool deck. 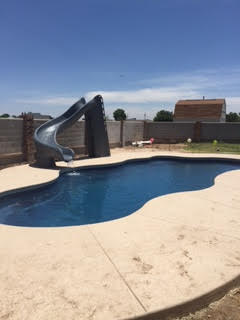 Homeowner Comments: It took myself and my son one day to set up the pool frame and liner and 4 days of leveling the hard desert earth. 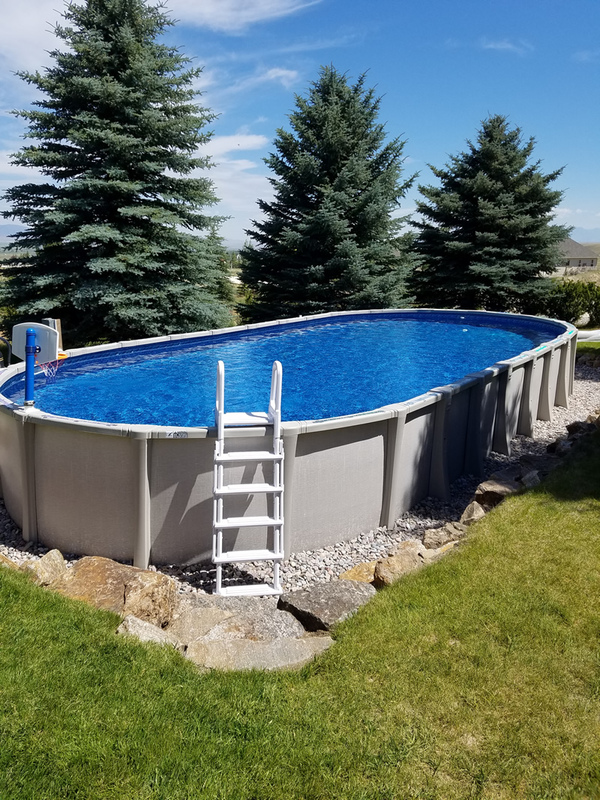 I love love love the Matrix pool as it is a full Resing frame (base plates, uprights, bottom rails and top rails), not steel like other pools. Ugh! 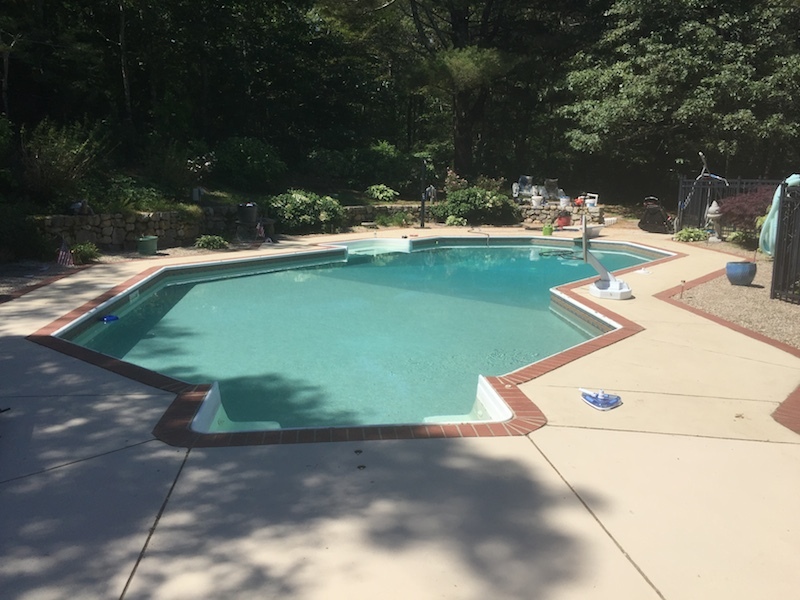 Homeowner Comments: My pool project was a major renovation which included modifying the shape of the pool, adding a bench and more steps, and resurfacing deck with travertine pavers, and replacing and relocating pool equipment. From draining the old pool to the initial refill of the new pool this took 6 weeks. It took an additional 9 weeks to make repairs after a return pipe burst. 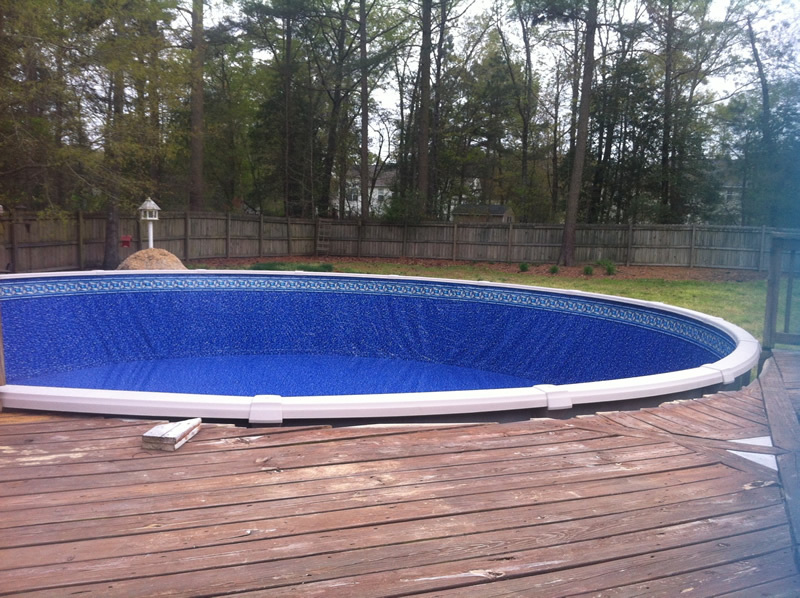 The pool now measures 29’-10” long x 14”-4” wide. 13,200 gallons (reduced from 15,500 gallons); 404 square feet water surface area. Homeowner Comments: Plaster finish, is in good but not great condition. I would love to know of alternatives to the old porous plaster! Finishes like truck bed liner, polyurea coatings and others that don’t cost 3x times the old plaster cost. That’s the dilemma. 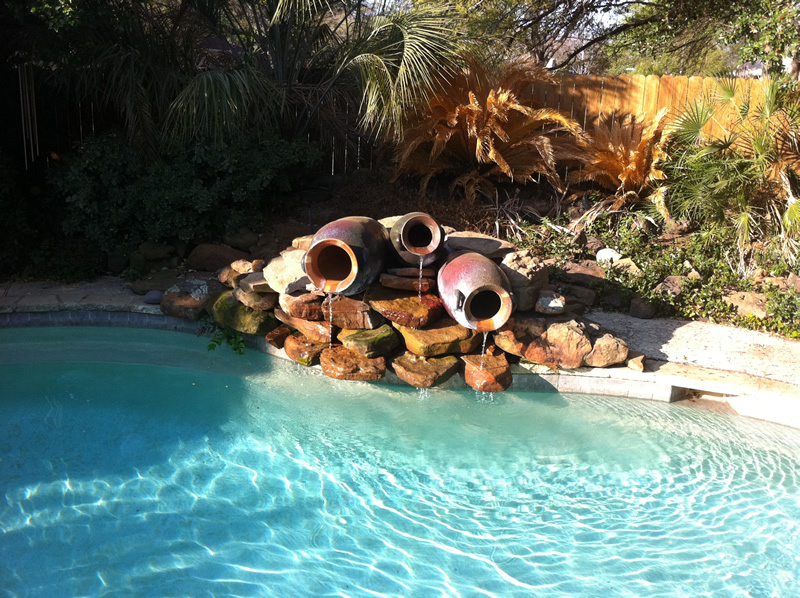 Homeowner Comments: The pots also provide signaling….when the middle one stops flowing, it is time to backwash the filter! All I have to do is look out of my kitchen window! Homeowner Comments: My partner and I did the install ourselves, it took a night 5pm-10pm, and the better part of the next day , 9am-4pm and we were filling it. Well there you have it 93 pools and how much they cost to build. 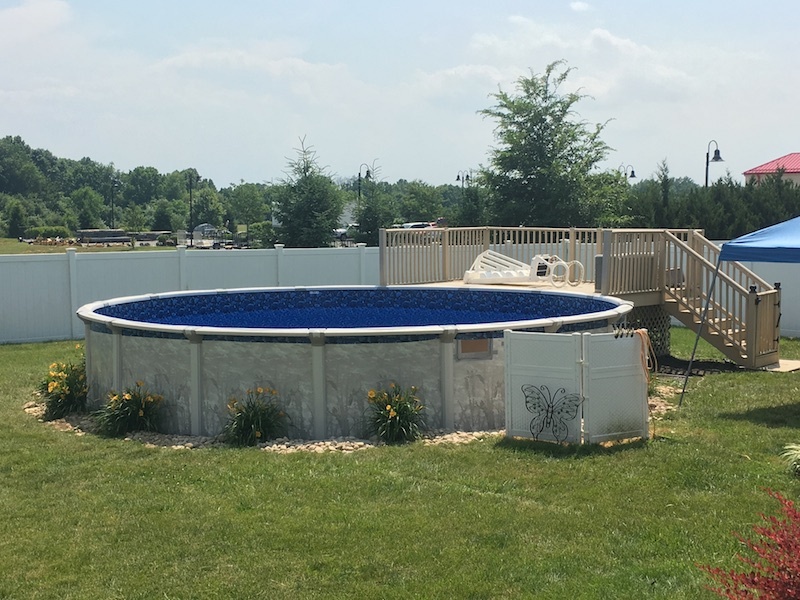 If you are in the preliminary stages of planning to build a pool or would like to let us know how much your pool cost then we would love your comments and questions below. 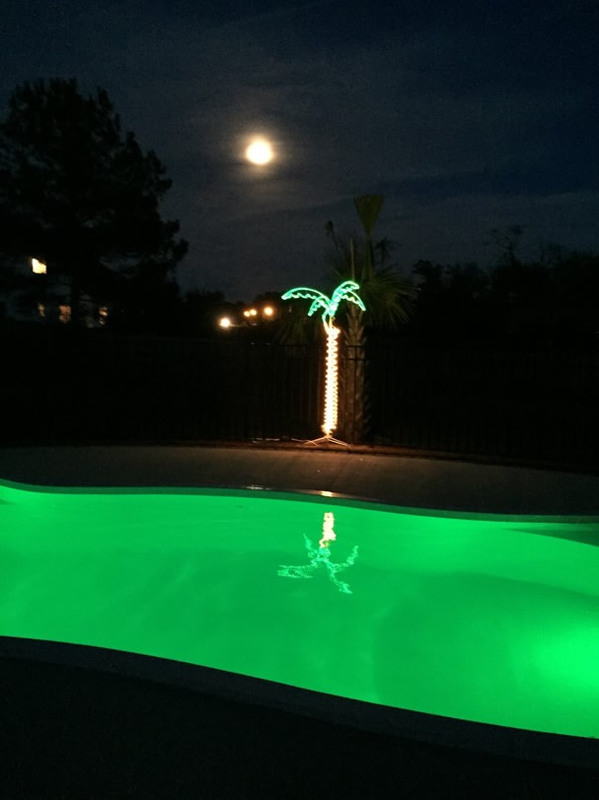 Once again thank you, everyone, who participated and don’t for forget to check out How to Save up to 30% by Building Your Own Pool and the TimeLapse Video of a 9 Week Pool Build from Start to Finish. This is fantastic information..and now I feel I belong to a “brotherhood” of pool owners. Thanks a bunch! Awesome Margie! 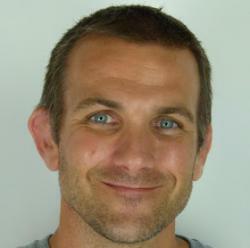 Don’t forget to browse and post on Inyo’s Forum for any pool questions and tips. This was tremendously helpful! 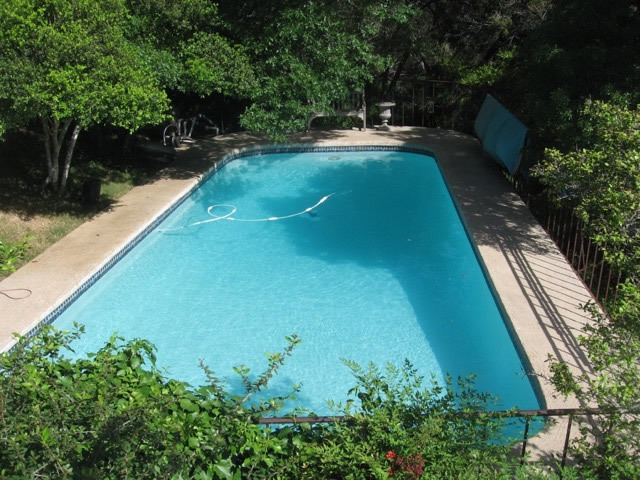 We’re thinking about a pool but want to have as much info as possible before we commit to such a big investment. Good idea. Always do your homework before committing to such a big project. For this kind of money, you want to make sure you are happy with the end result. Great idea and really helpful. Thanks a lot. Thanks for this information! extremely helpful!! THanks so much for all this info. 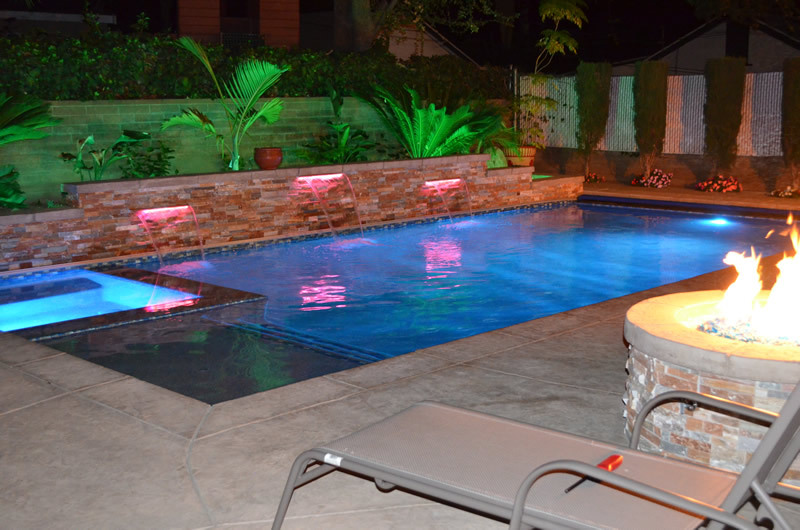 Nearly impossible to get any sort of idea of pool costs without having to call out multiple pool companies. This is great, thanks! Agreed! This is a great site. Thanks this was really helpful. Now I have a better idea of what my cost might be an also the length of time I’d be looking at on the build. Thank you so much- this was extremely informative! Nicely done. This is the most helpful article I’ve found on the web. Thanks! 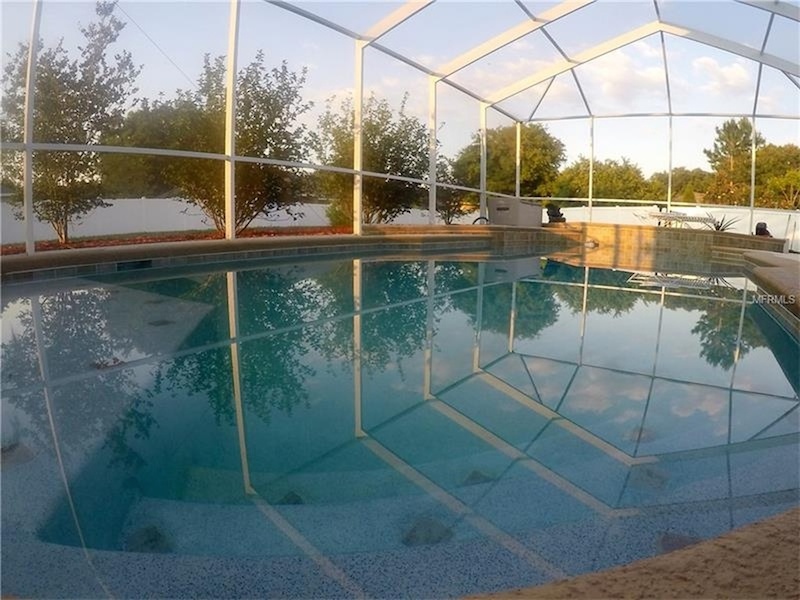 With living in a high heat location, I’ve wondering how much it costs for an in-ground pool. I hadn’t known that there are kits you can purchase in order to install them yourself. It’s a bit of money initially but think that it would pay off in the long run! 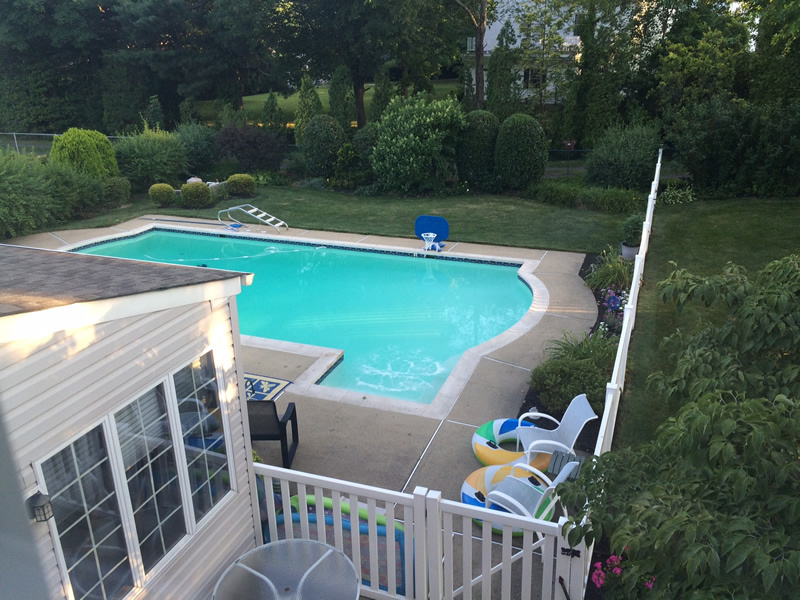 Is there a big price difference in a small pool versus a large pool? I’ll be passing this information on to my husband so that he is aware! By yourself ought to in direction of be a part of a contest for specifically 1 of the optimum higher high quality net internet websites on the website. I’m likely within just the assistance of endorse this blog site! 95% of these pool prices seem unreasonable. 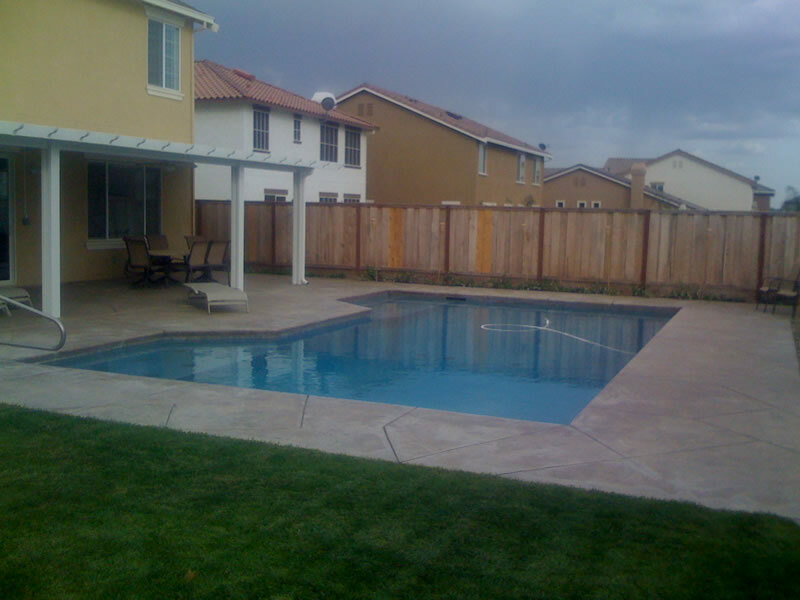 How can you get an in-ground cement/plaster pool built for the low $20,000’s? Never seen anything under $40,000. 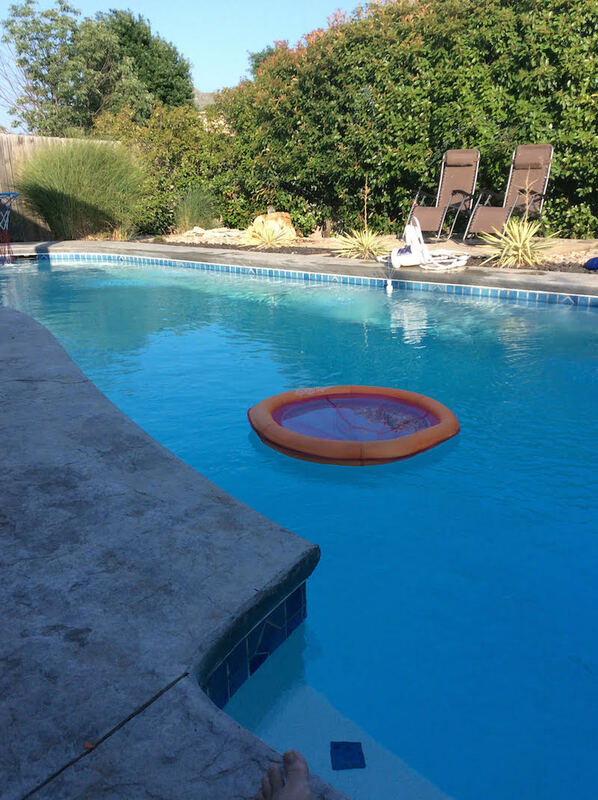 You also have to consider the area of the country, what year was the pool installed and by who (contractor, or subcontractor.) 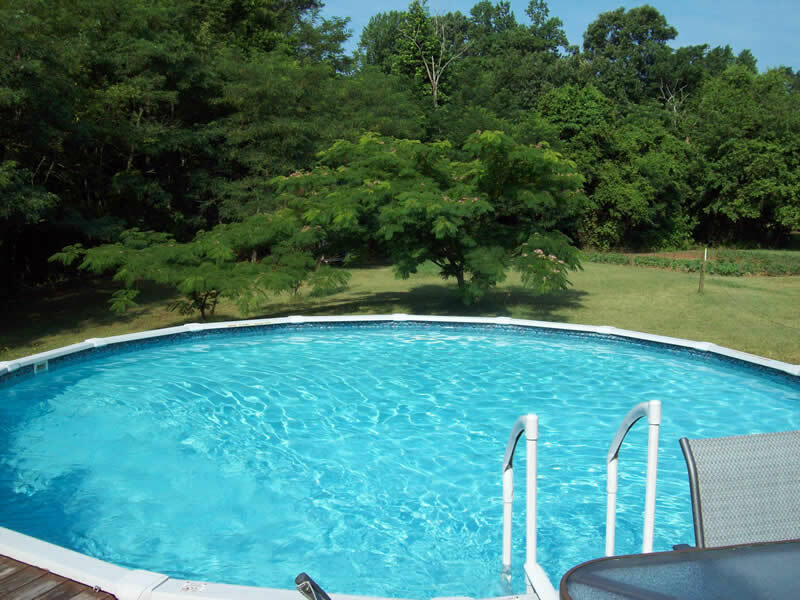 Also, the type of pool surface affects the price. And not to be confusing, your region of the country will alter cost of each type. 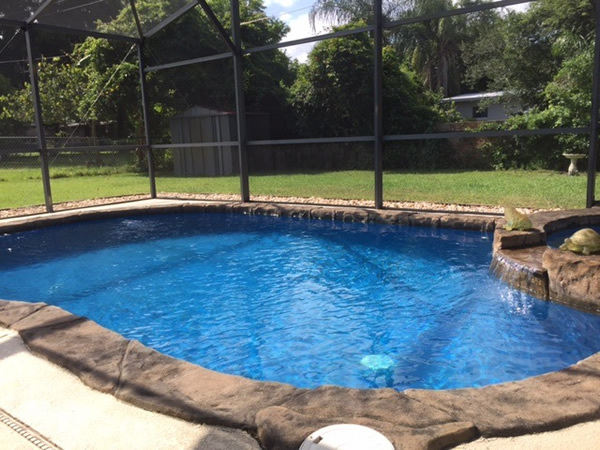 For example, concrete pool are cheap(er) here in Florida than vinyl pools. But in other parts of the country, that is reversed. Thanks, this was really helpful. 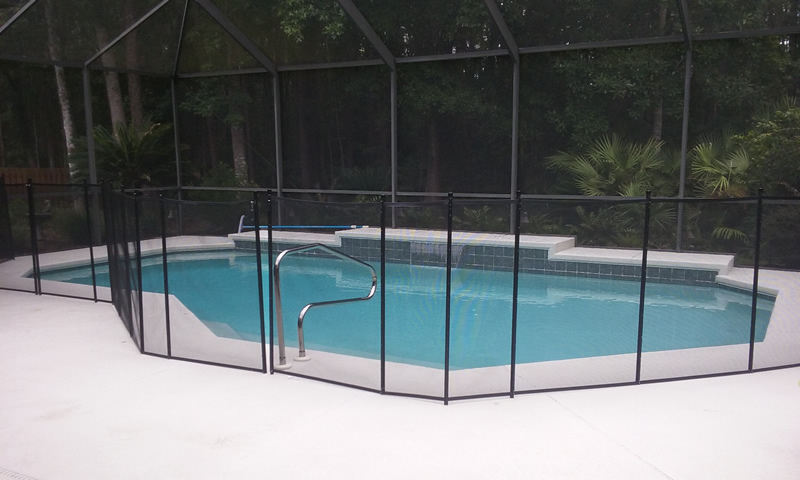 Modern, durable swimming pool enclosure is a great addition to your home and lifestyle. 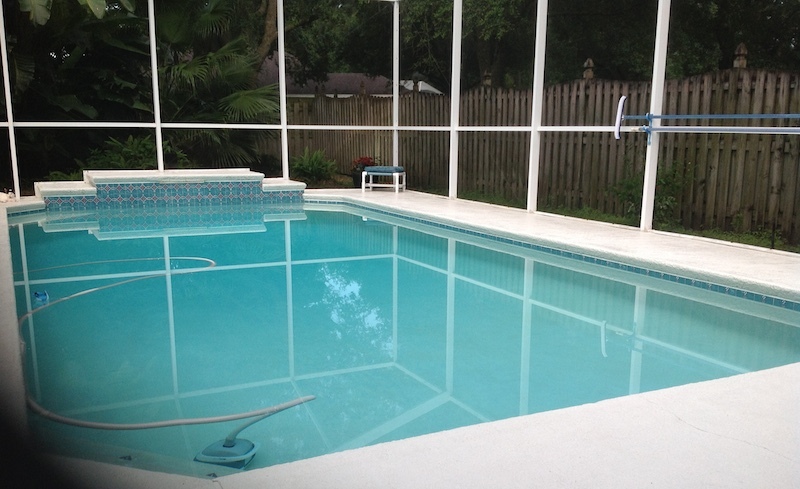 With the addition of a swimming pool enclosure, you can enjoy a 12-month pool. Remember there’s so much more that goes’ into a Pool other than the kit. 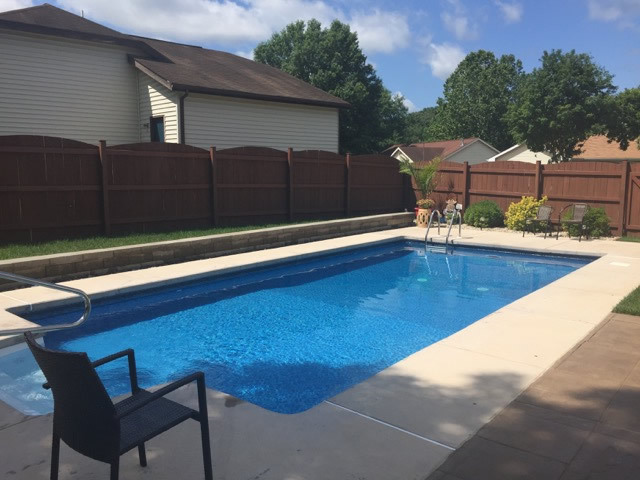 Concrete Deck, Rock for Back filling , Plumbing, Electric, Permits Ground Preparation, Pool create if its a vinyl liner pool,Forming, And don’t forget the Labor. 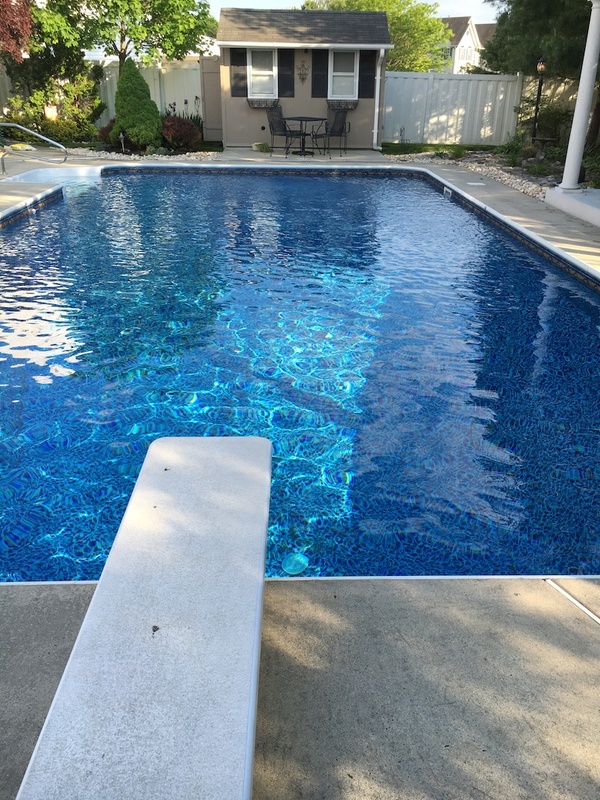 In my area pools have doubled in price in the last 15 years, partly because of building materials increase in price. Labor is muck higher as is raw material. 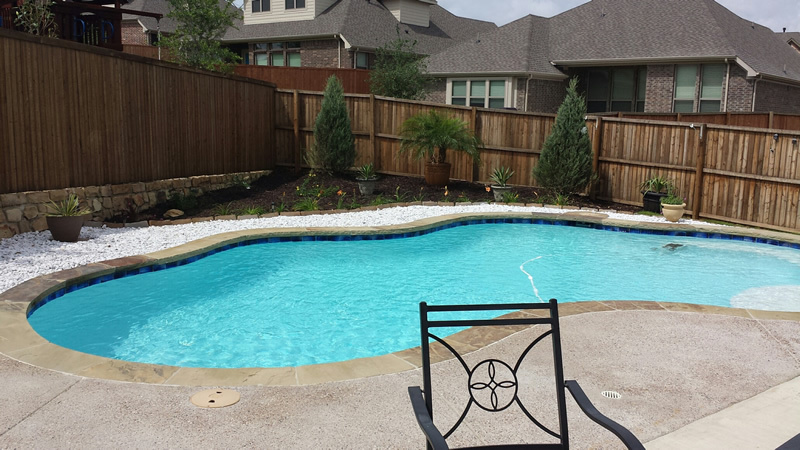 Who was the pool builder for Frisco, TX pool? The homeowner said the builder was Myers Pools. 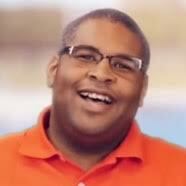 Hi, Can you find out who the pool contractor was for the pool built in Willow Park, TX? Please and thank you so much for this site, the best I’ve found on the web!!! I wish it stated the contractors name. I’m near Orlando and liked the Orlando pool pictures. I reached out to the both Orlando pool owners. Only the homeowner for pool 42 replied. 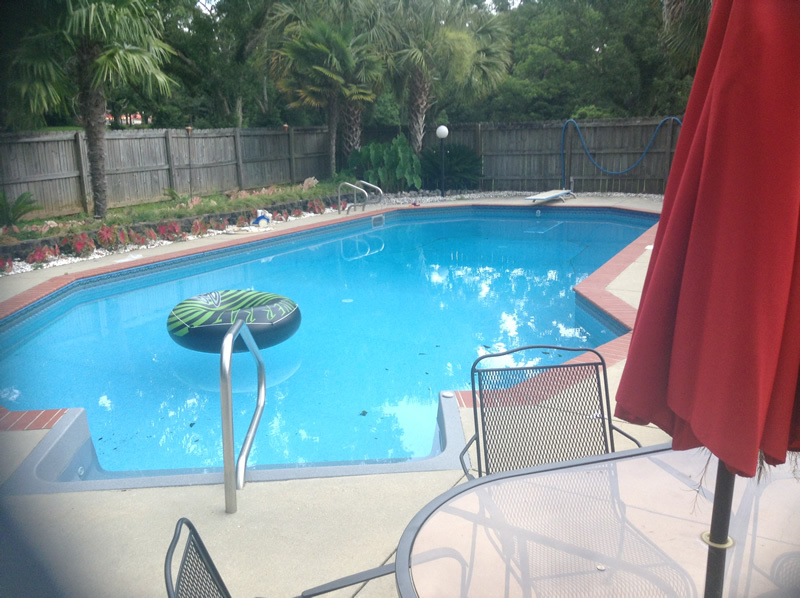 The builder was Waterline Pools based here in Orlando. Any idea what year #42 was installed? Unfortunately, the owner did not list a build year. Awesome! 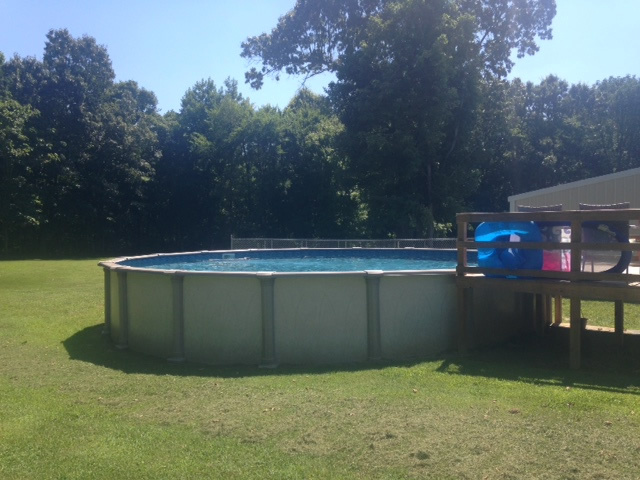 Now I need someone to put me in a pool in AL. 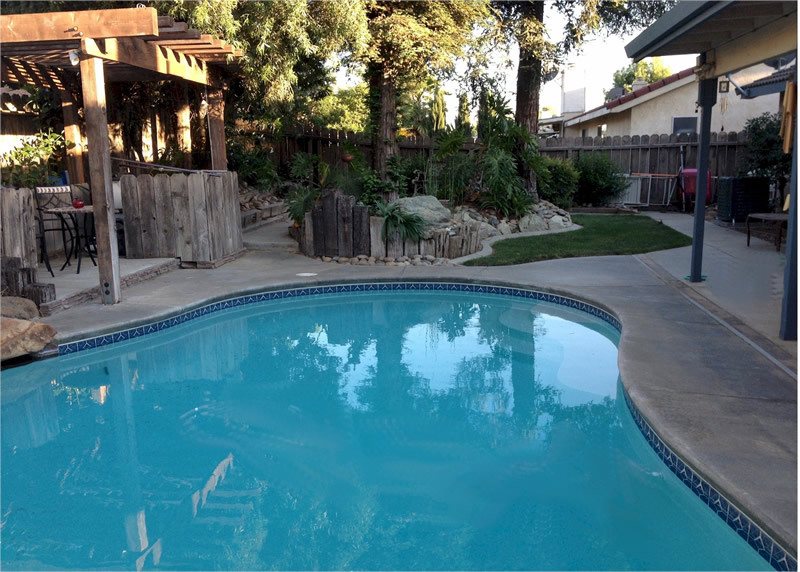 Do you know who the builder was for the Alta Dena, CA pool? Do you know who built the pool in Scottsdale and when? 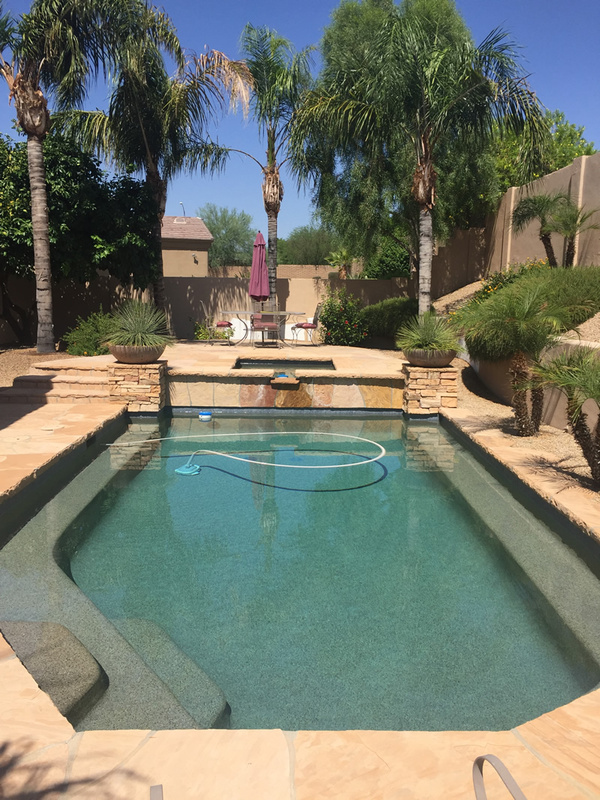 Looking to build a pool in that price range in Phoenix. 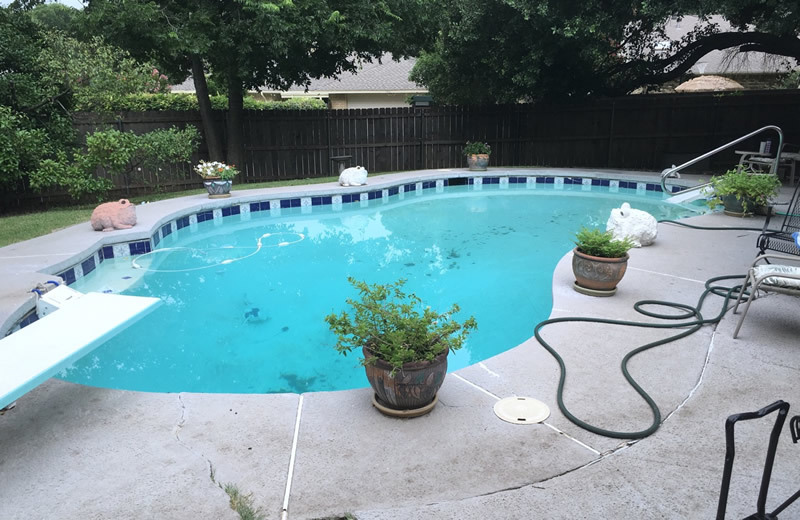 I contacted the homeowner but they said the pool was built 18 years ago, and the pool contractor is no longer in operation. Sorry. This is great info & lots of work you did. Thank you so much for putting this together. My next step is unbiased planning. 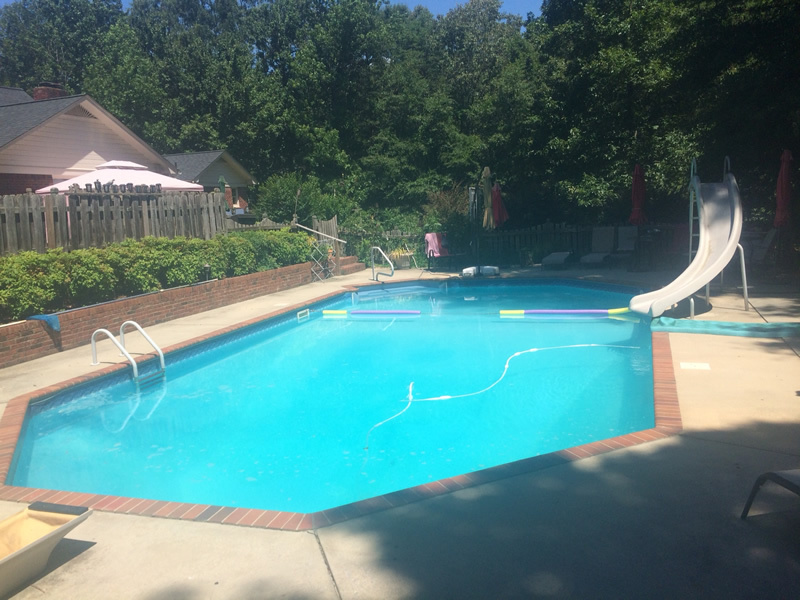 Would love to know from pool owners… yeah we should have skipped the deep end, or wish we had a deep end for dives, or if you dive make sure you do xyz, or kids mostly use the flat end of pool need aXb size shallow, never use blah-blah-blah. I’m trying to convince hubby to invest but he is #’s person does not think worth the money knowing less use over time. Any support for my argument is appreciated. I see the prices range all over the place…so what makes the big difference..concrete, vinyl or fiberglass? 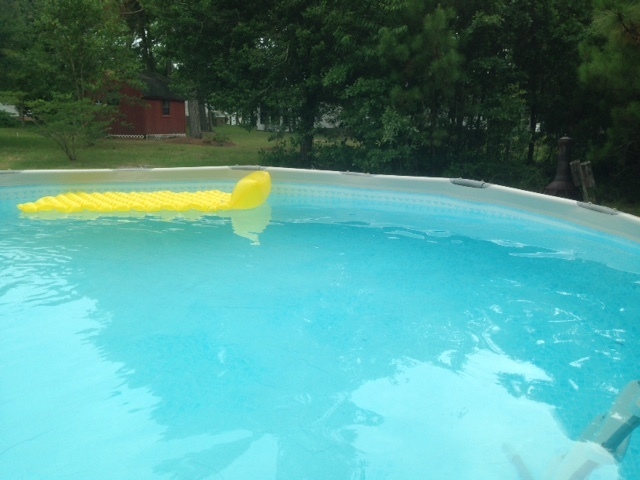 If have vinyl or fiberglass what is look of the pool lining. I live in Burleson Texas with clay soil…so with rain (deluges) to drought the soil shifts. Definitely salt water and self cleaning. 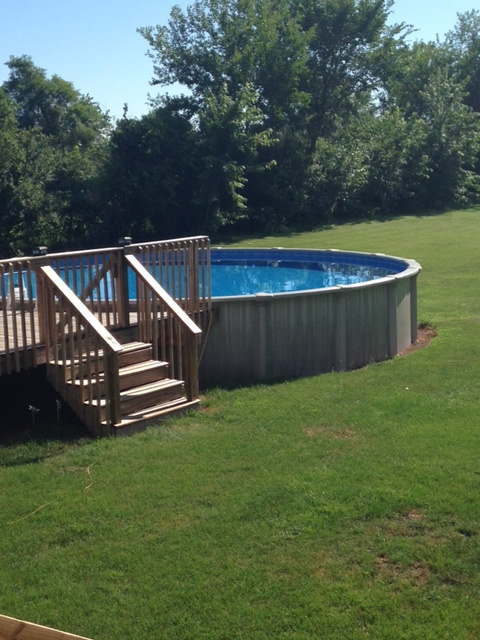 16×24 3-6 feet with hot tub at one end. Cheaper if rectangle? 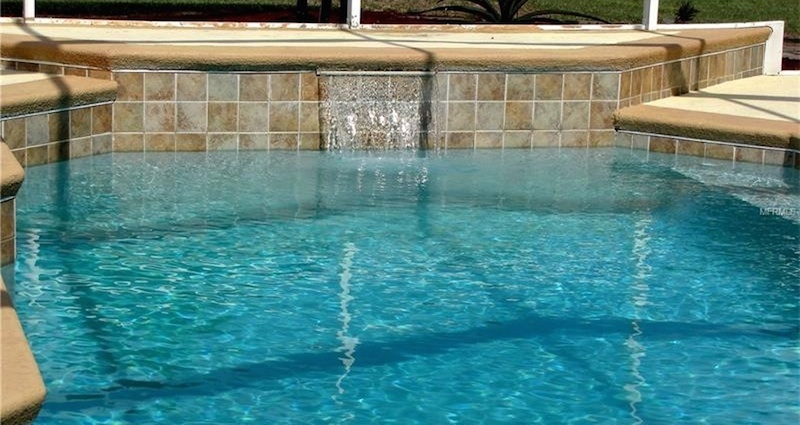 The difference in price for each pool surface type is going to vary according to your area. 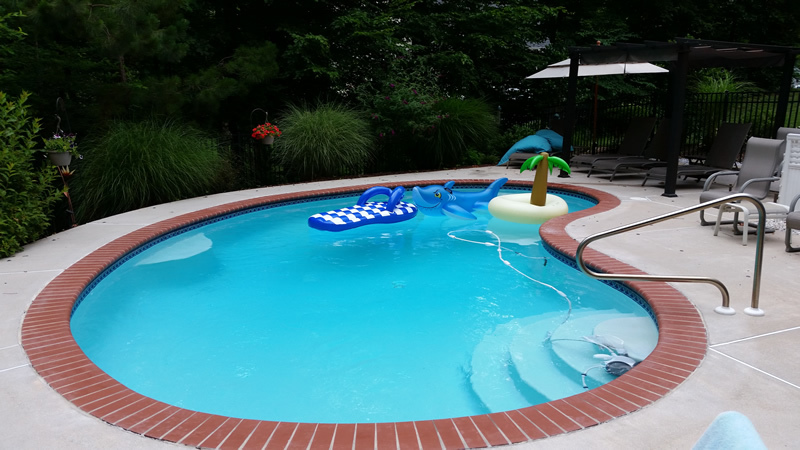 Figuring out the general consensus on the price differences for your region can be as simple as calling a couple pool builders in your area for a basic quote over the phone. Thank you so much! Exactly what I was looking for. When I get mine built I’ll send you my information to add to your list!! Anymore pics with pool and price in arizona? 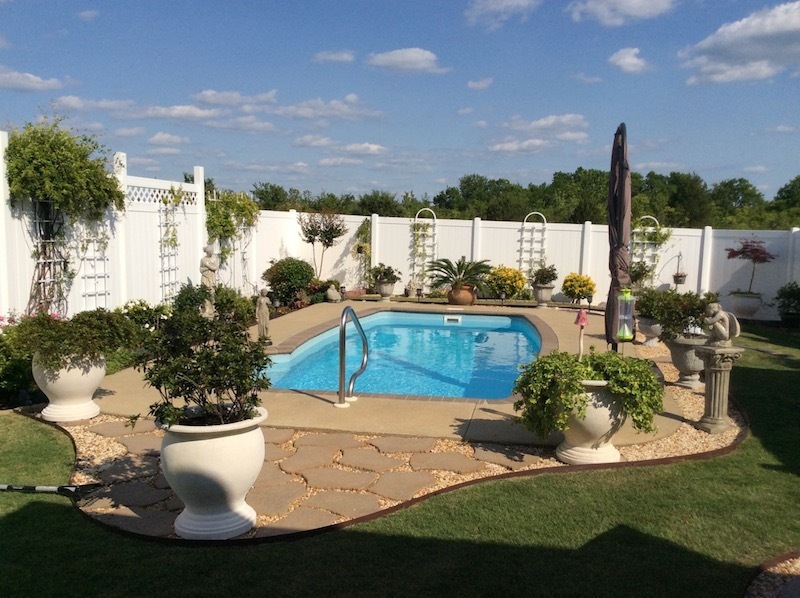 Do you have any recommendations for concrete pool companies in the Philadelphia region? No, we are based out of Florida. Thank you! This site has helpful information. We live in Northern Virginia. 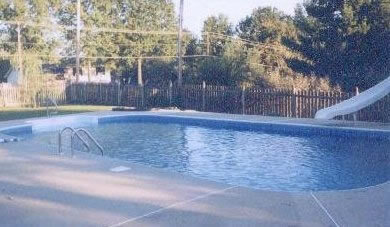 Pool estimates for concrete pools are are much higher in our region. We are in the process of getting estimates. If you have any recent pics/info for pools in my area, I would appreciate it if you could post it. So first, I need to find a time machine (if anyone can help with that, let me know) so I can go back to the 1990s and buy a pool! I’m in the Northeast and just got quotes for an inground. Nothing is touching these prices any more. I’m seeing about 3X these prices (with some flexibility if it’s vinyl or fiberglass). Hit send too soon! I meant to add a 🙂 at the end of that last post. This is good info, didn’t mean to be a jerk. But time has changed prices A LOT! #41 Modesto, CA Who was the company ?? 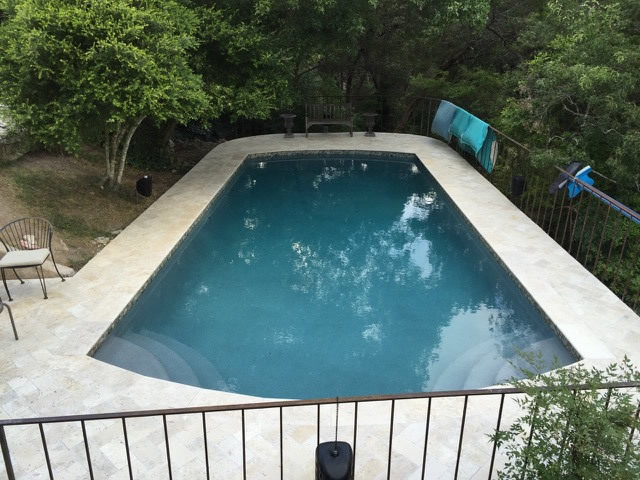 who build your pool..
Our 22′ x 44′ (840 sq ft) pool with spa and 700 sq ft of deck will be around $65K but landscaping added $13K for a retaining wall and now we’re dealing with rock in the excavation @ $2,750 a day. With $1,500 worth of water, a $3-4K cover, etc…this will easily be $100K. I can’t imagine how most of these are so “cheap” with gunite/shotcrete and large cement decks. 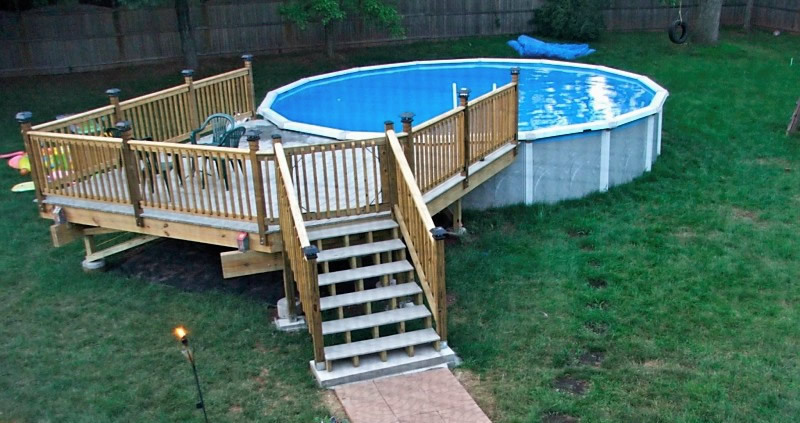 Most look to be built at a time when pools construction didn’t cost so much. Here in Florida we hover around the 50k and up for not a whole lot now. For most areas you need a screen and if you want a spa you’ll need a heater. BOOM! 75k right there if not more depending on the size and land lets not forget if you have a sprinkler system that will have to be replaced. Oh! and also landscaping afterwards. Thank you! This site has helpful information. 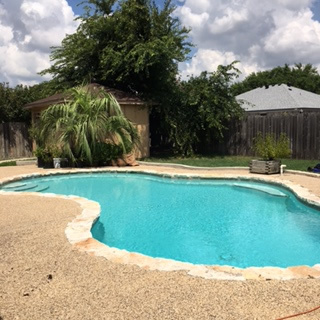 I live in South Texas and the Pool estimates for concrete pools are starting at $50k and higher. We are in the process of getting estimates. 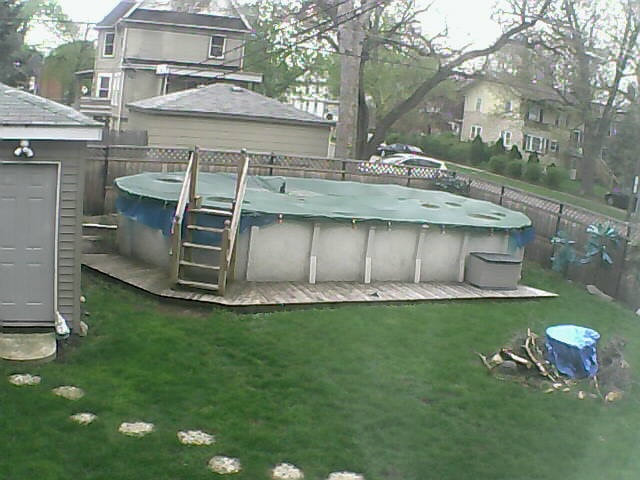 If you have any recent information on in ground pools in my area, I would appreciate it. © 2017 INYOpools.com All rights reserved.